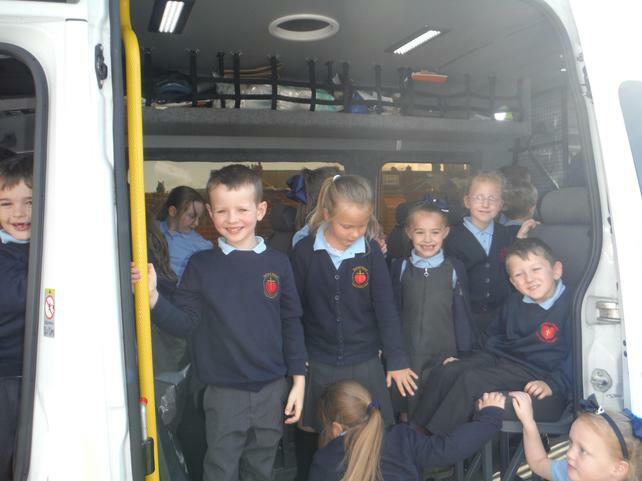 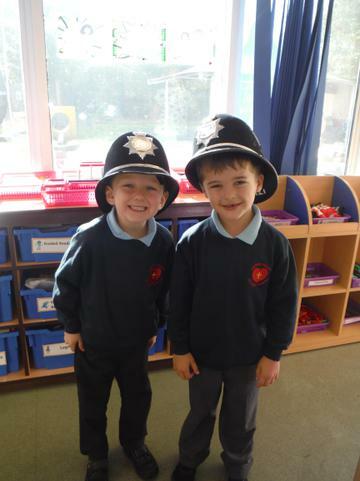 Class 2 had some very important visitors on Tuesday. 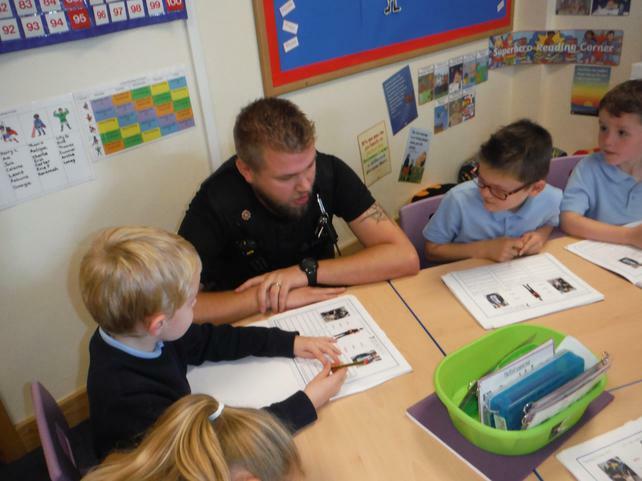 As part of our Superhero topic we began to look at real life Superheroes and focussed our work on the Police. 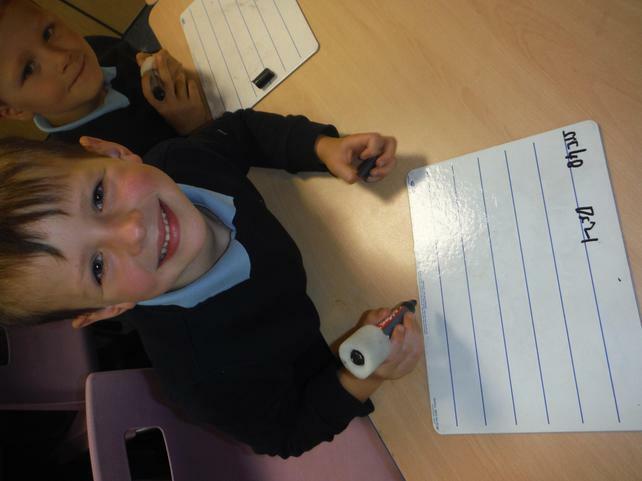 On Monday we thought about different types of question words and how we ask questions. 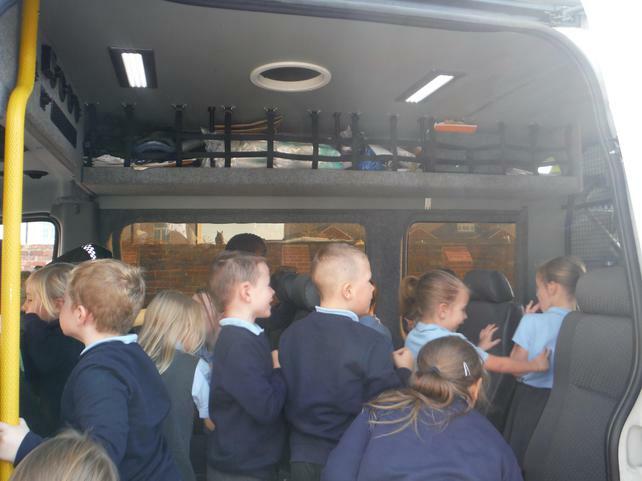 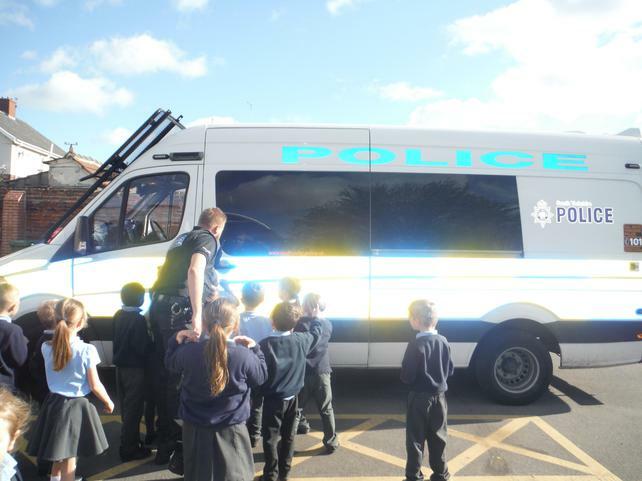 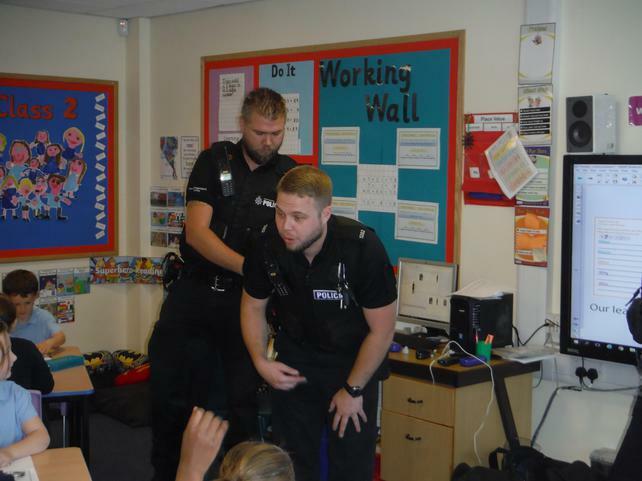 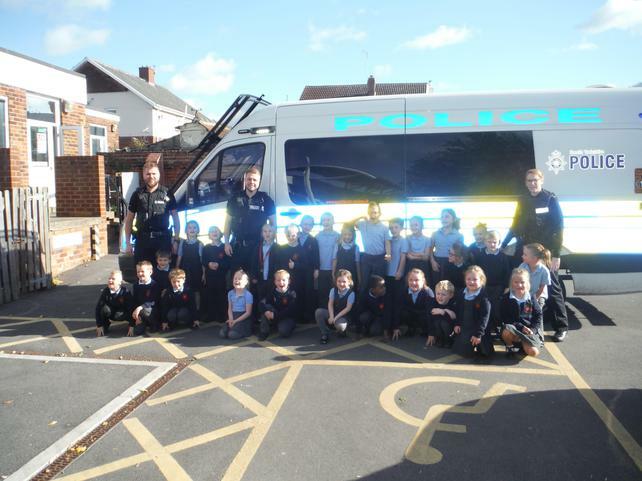 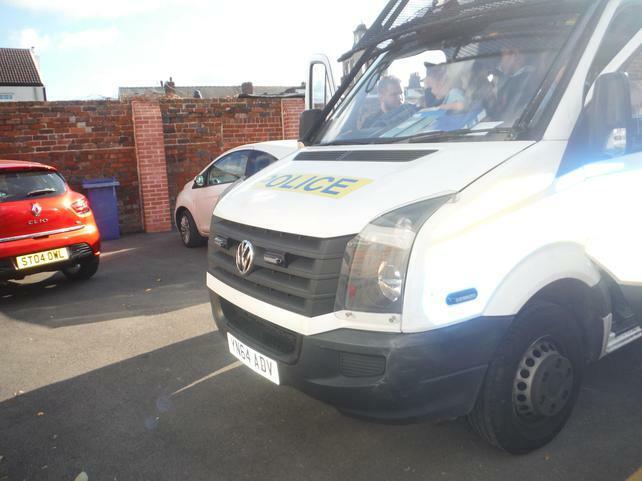 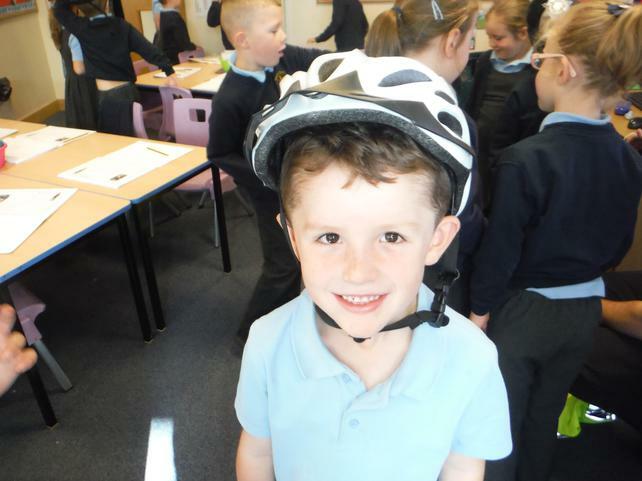 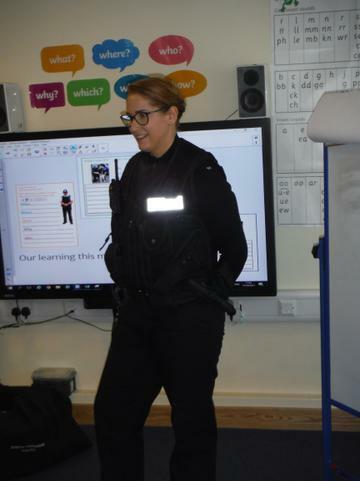 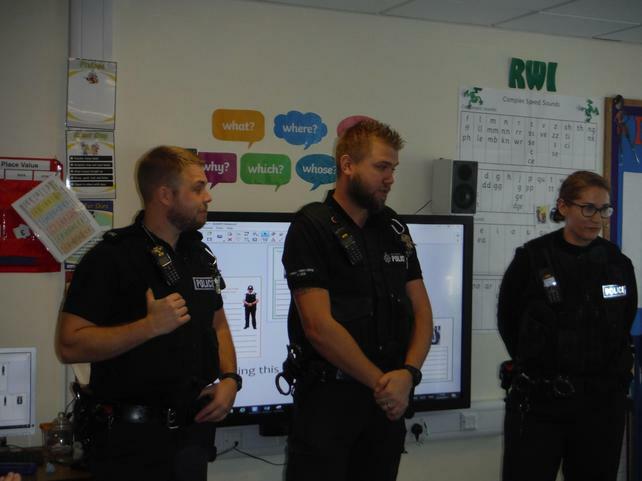 On Tuesday we began to think about questions that we could ask a Police Officer if we happened to see one on our way home, to our surprise whilst we were writing our questions 3 police officers came into Class 2 and allowed us to quiz them. 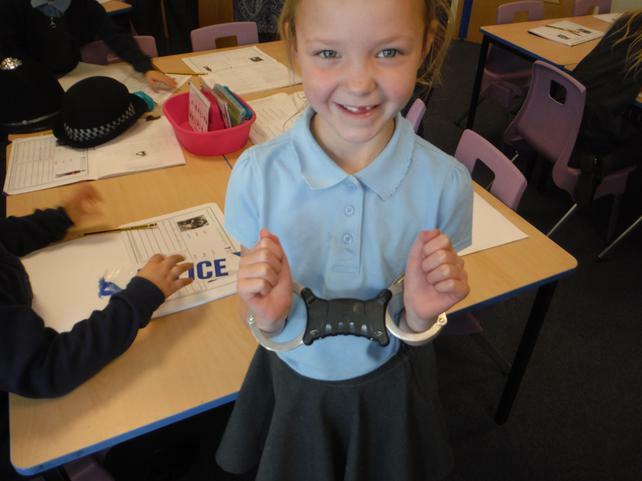 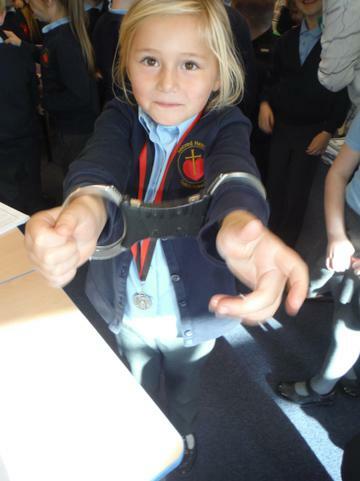 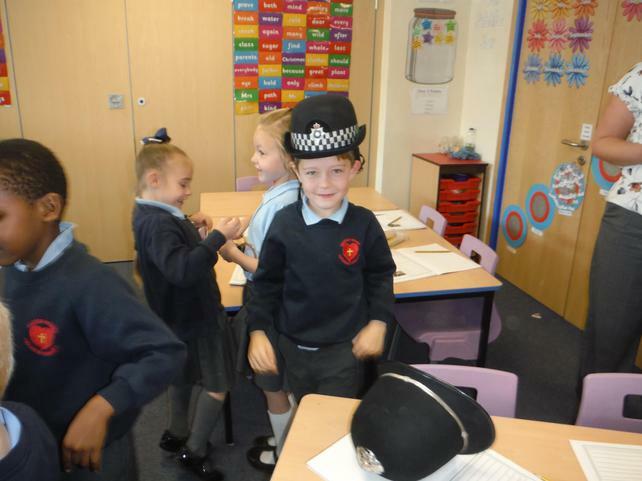 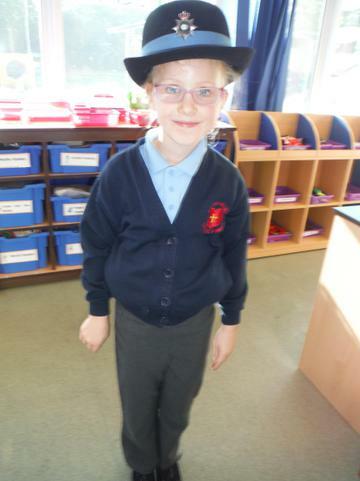 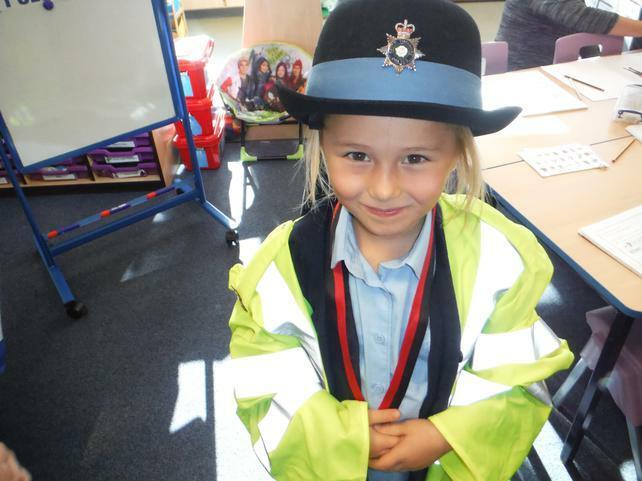 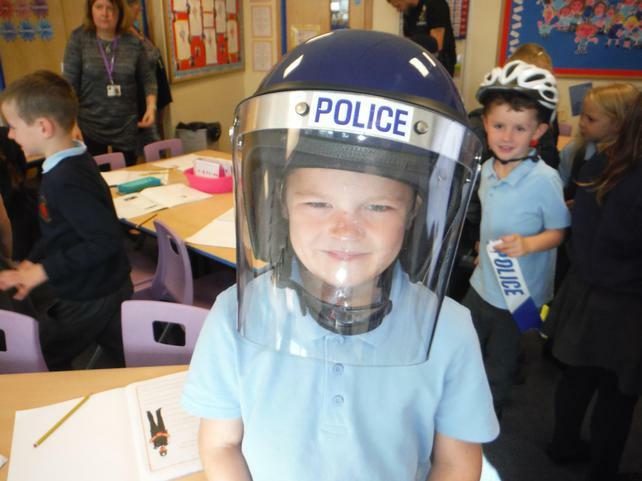 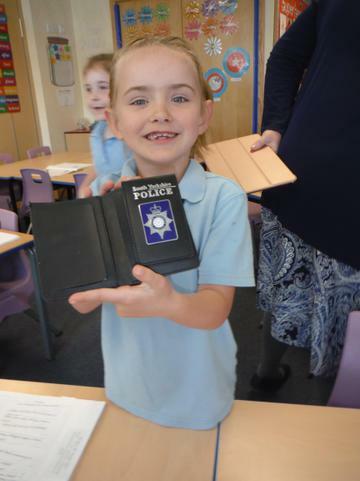 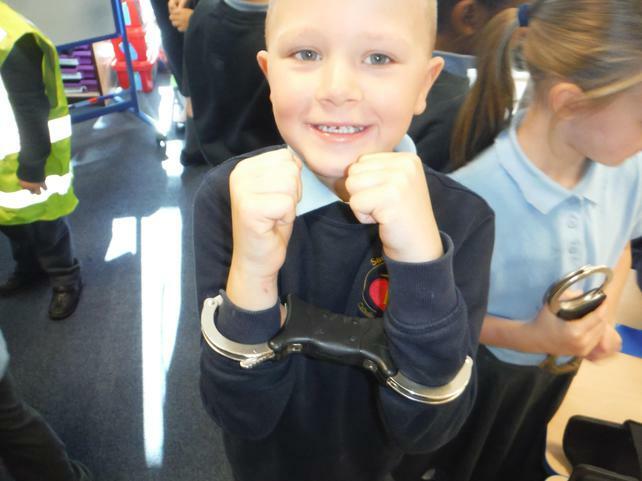 Class 2 had a wonderful time asking questions and investigating with the different police hats, handcuffs and high visibility vests that they brought with them. 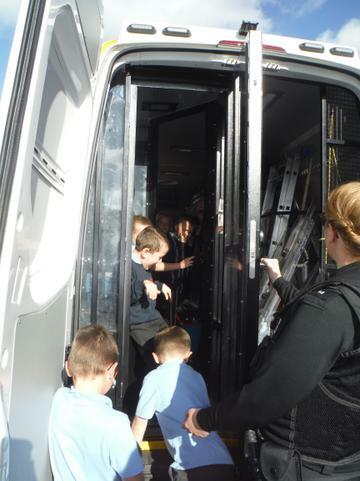 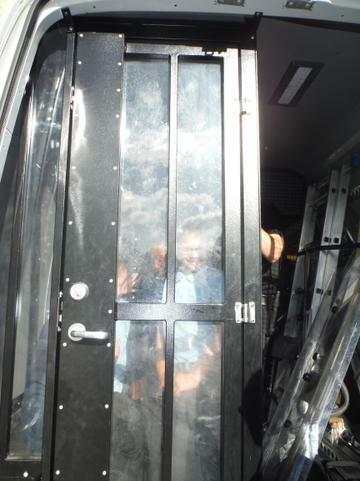 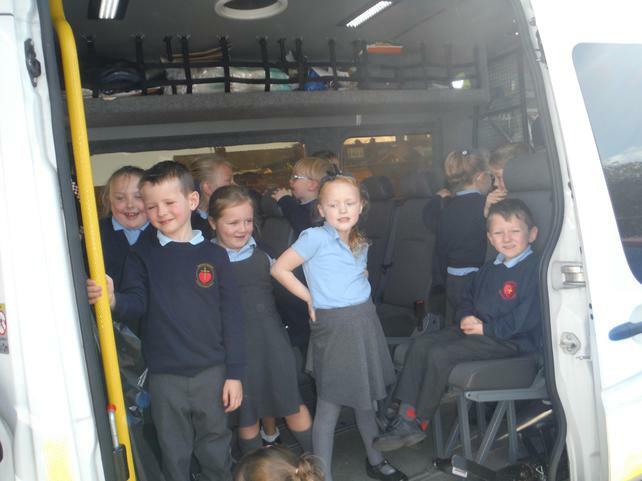 Before they left they also invited us to look inside their riot van. 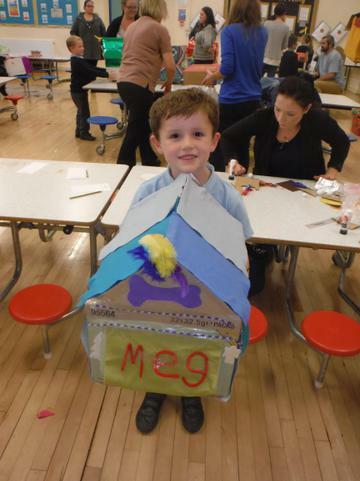 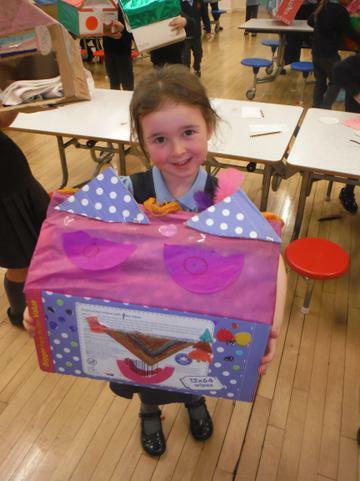 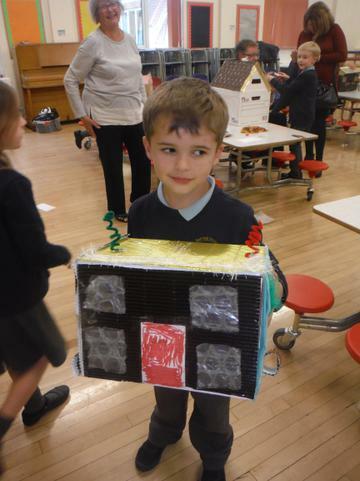 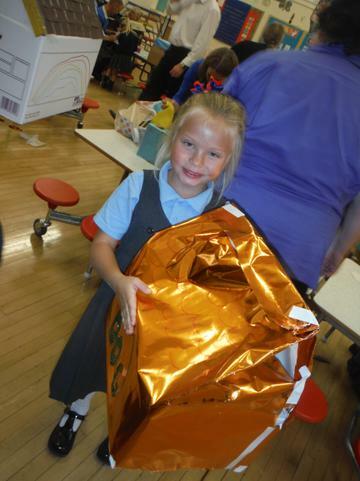 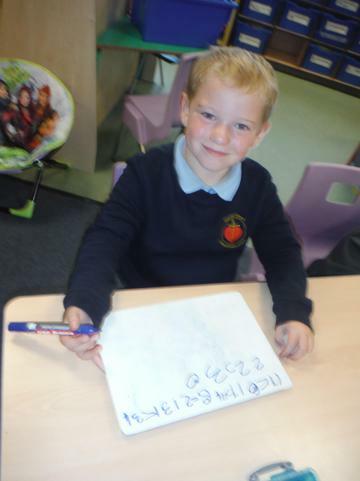 What an exciting morning Class 2 had! 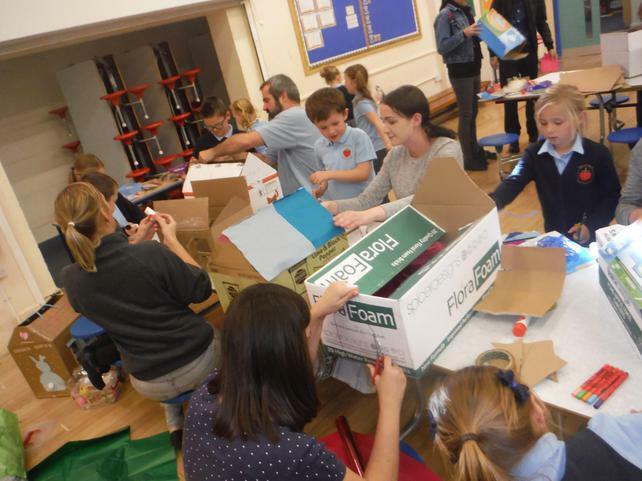 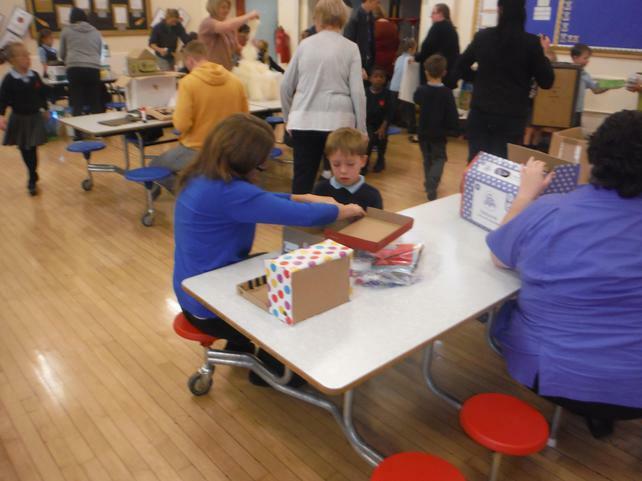 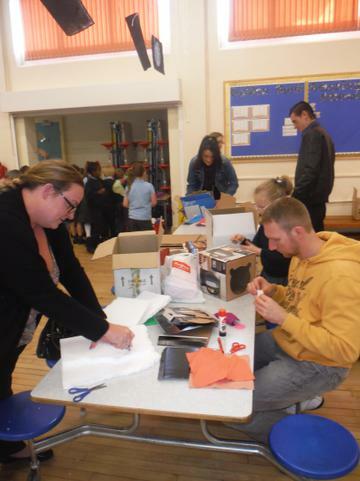 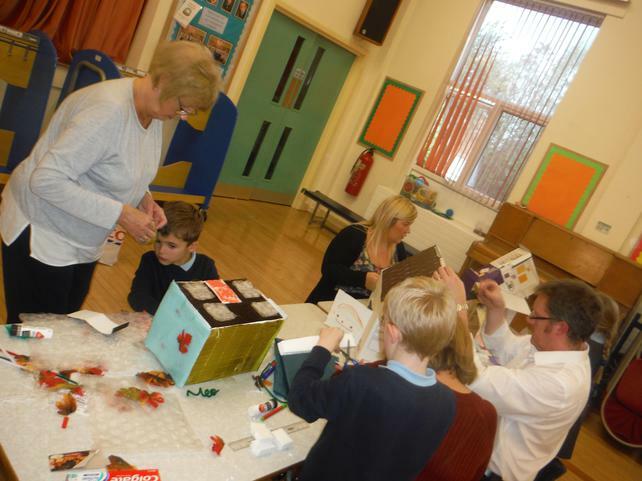 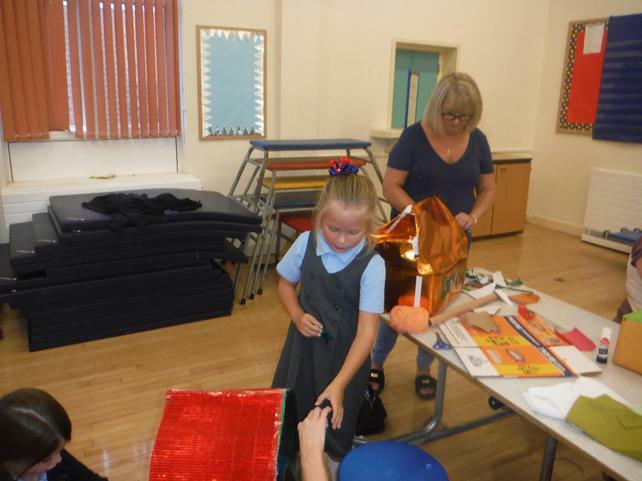 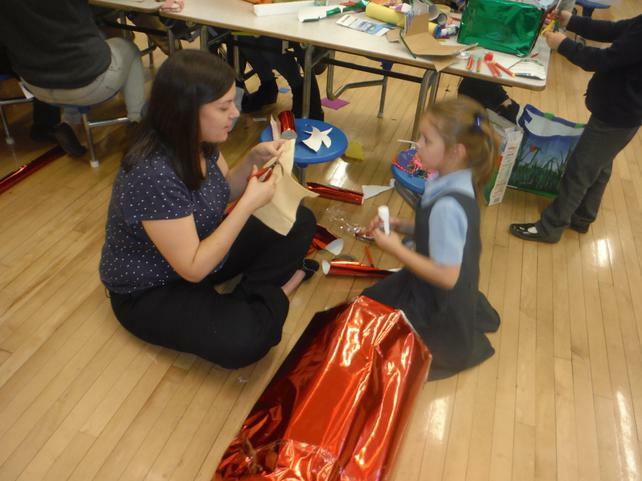 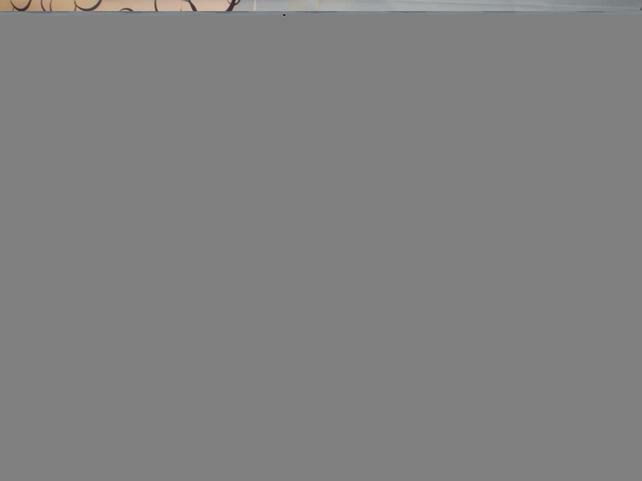 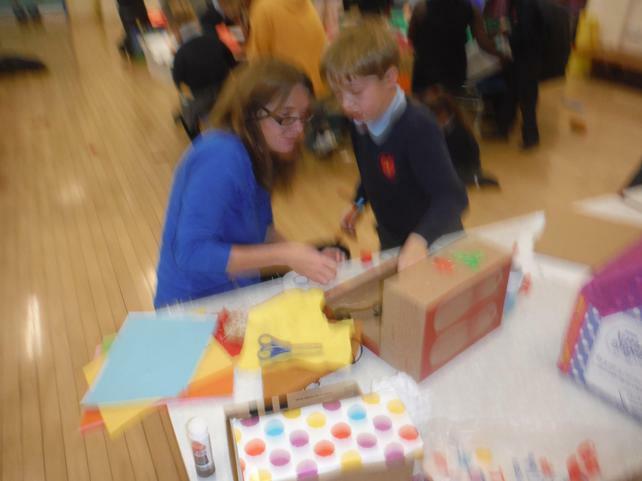 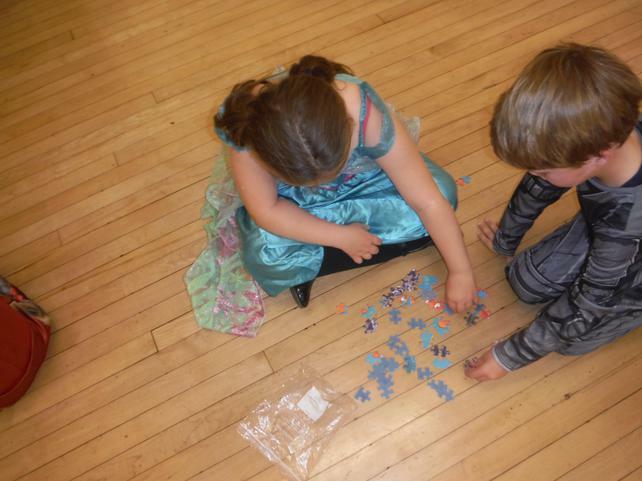 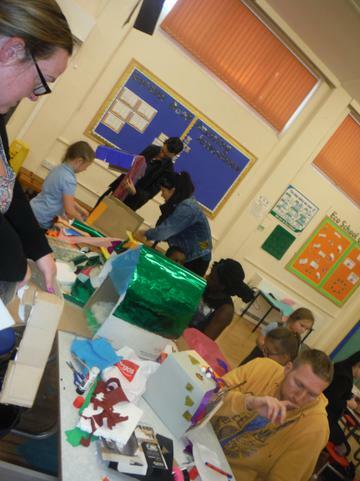 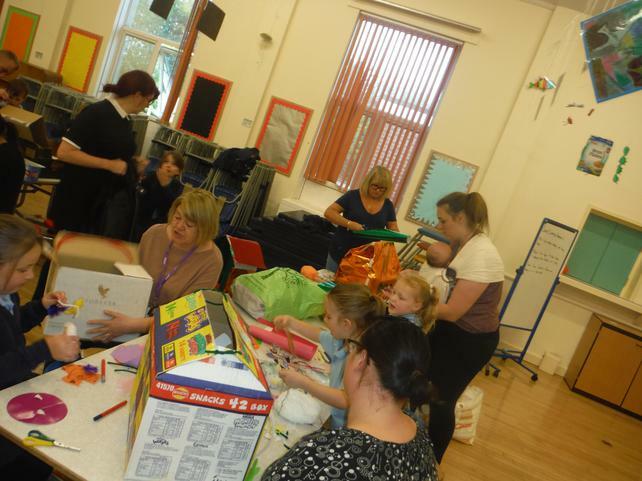 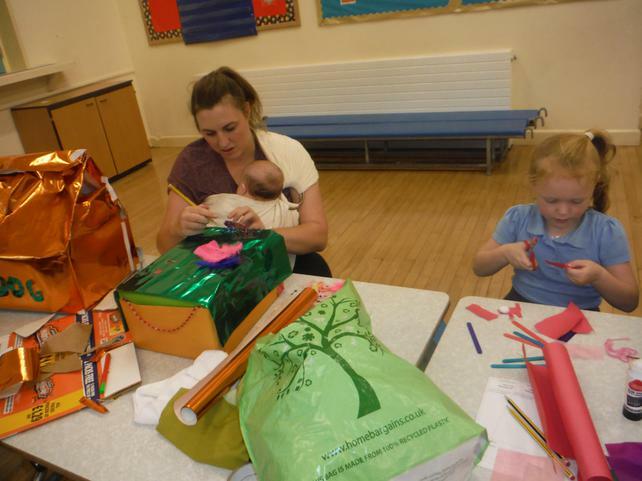 A huge Thank you to all the parents who came to our parents session on Thursday. 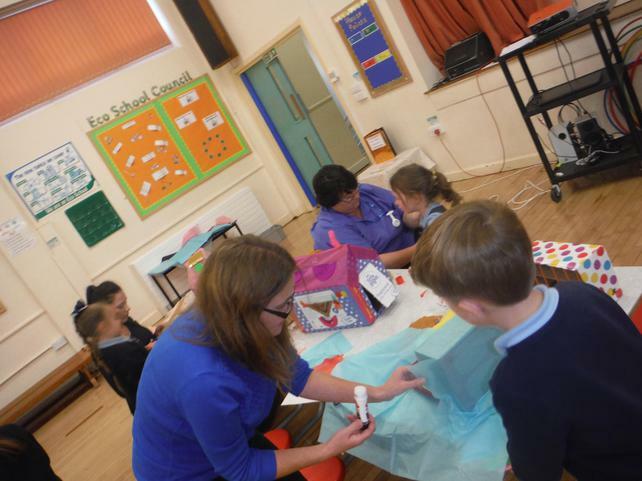 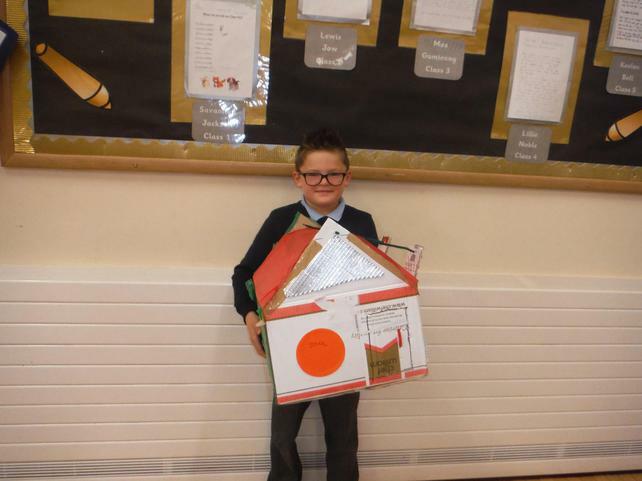 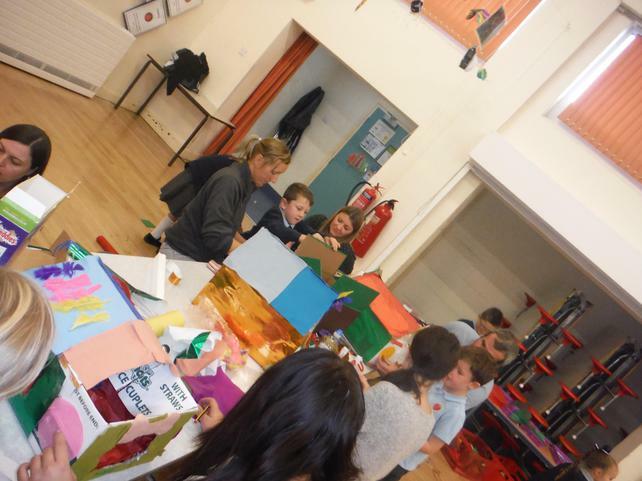 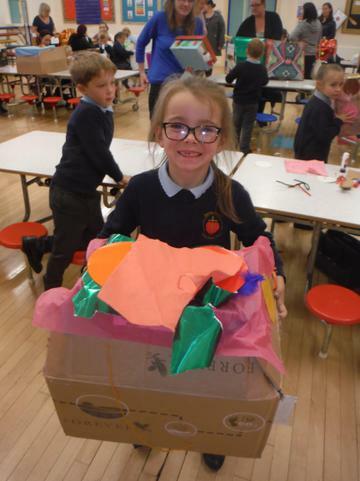 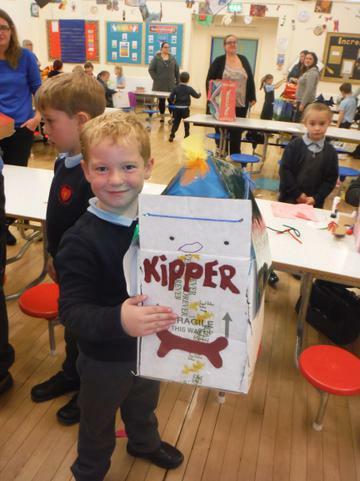 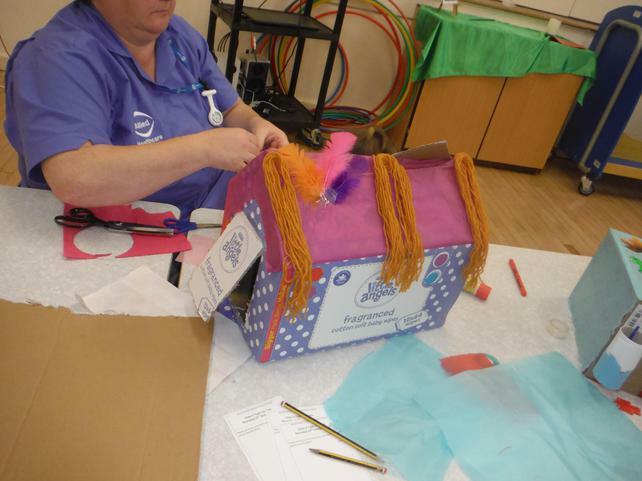 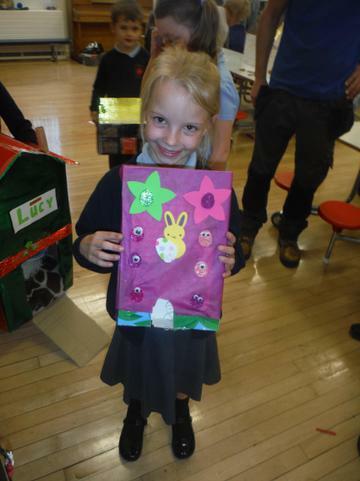 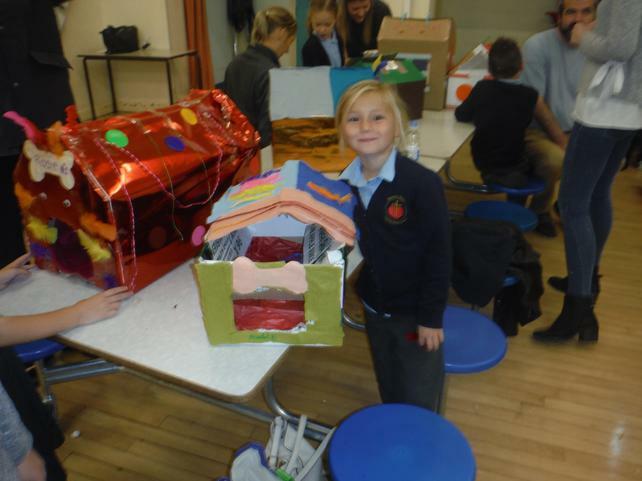 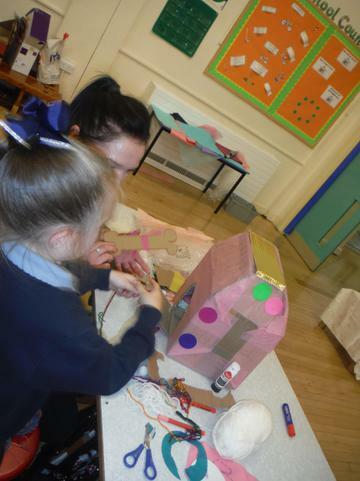 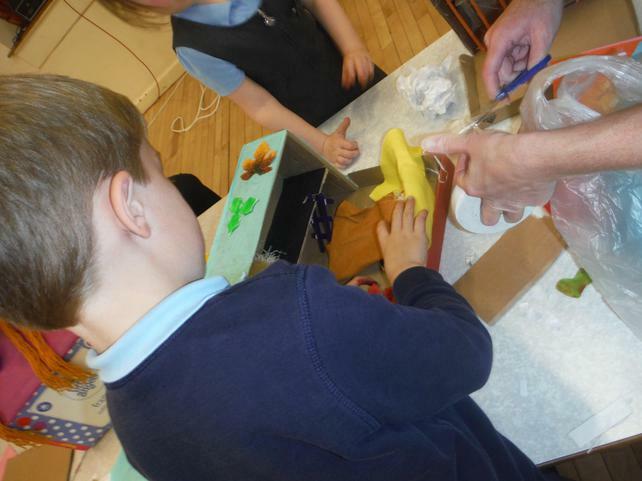 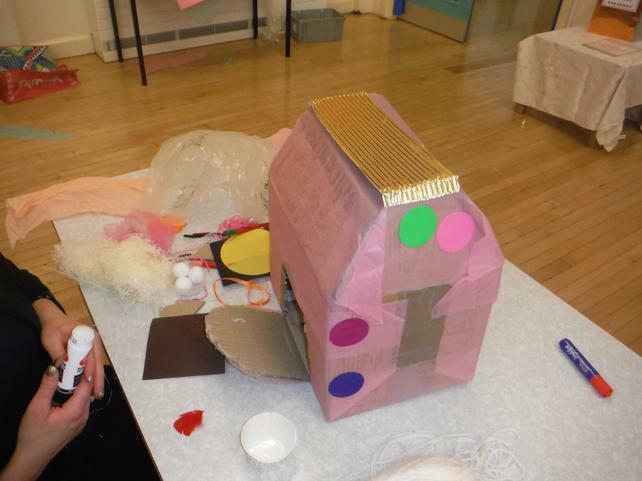 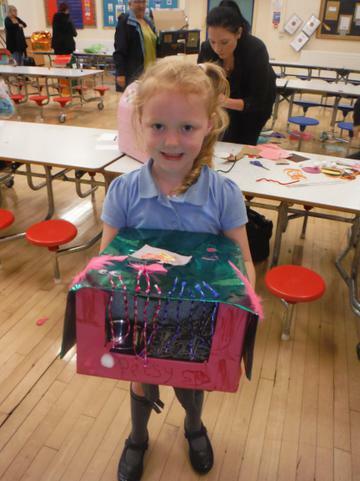 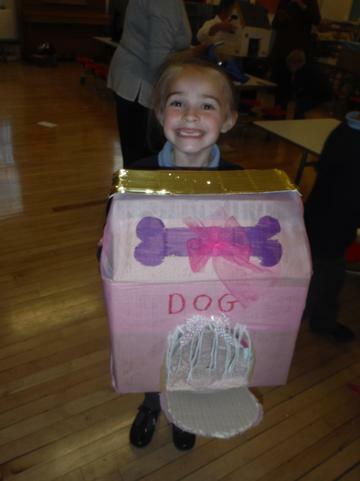 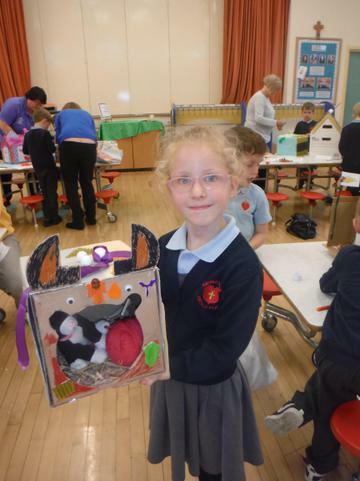 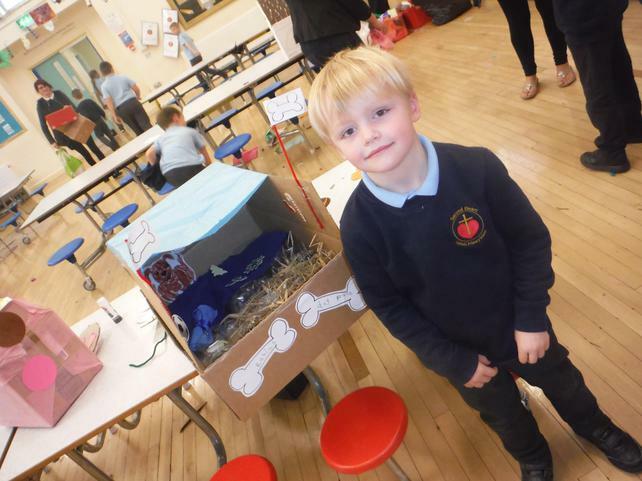 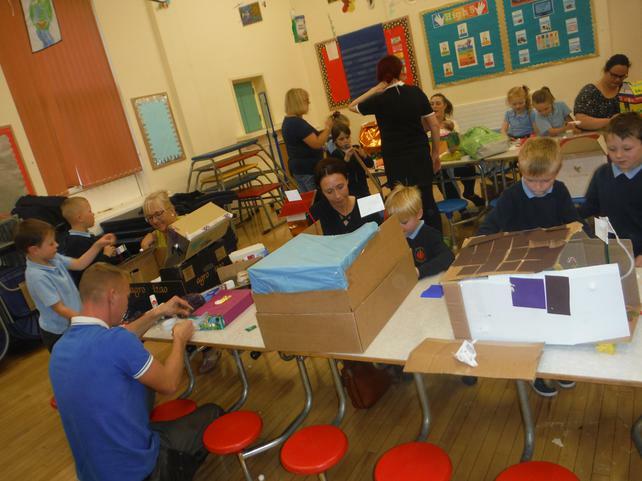 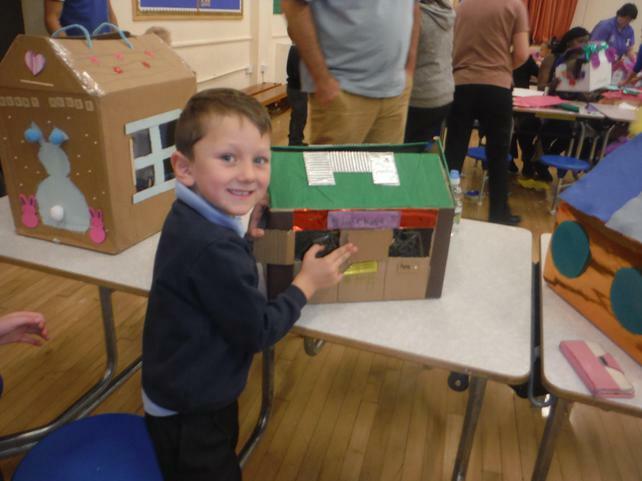 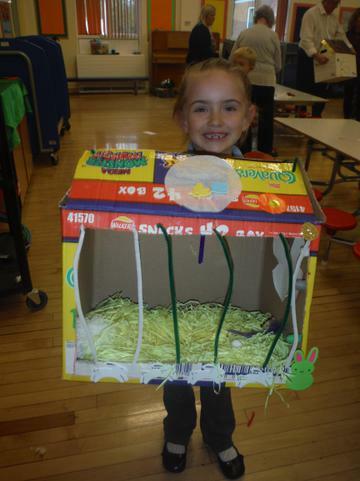 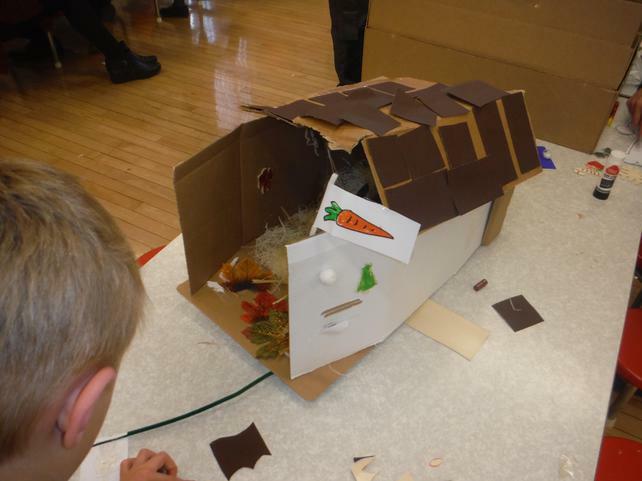 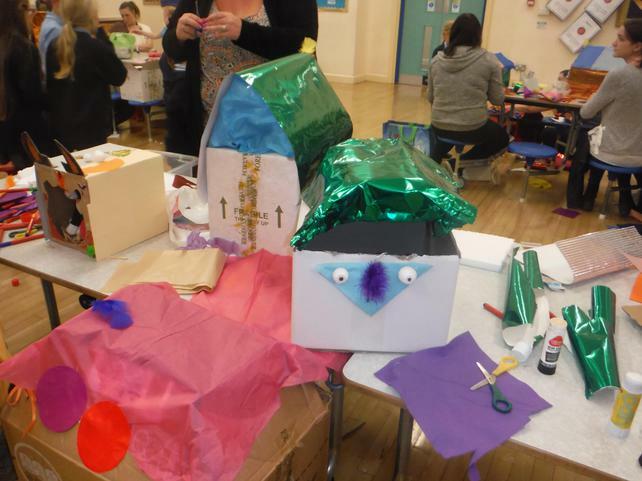 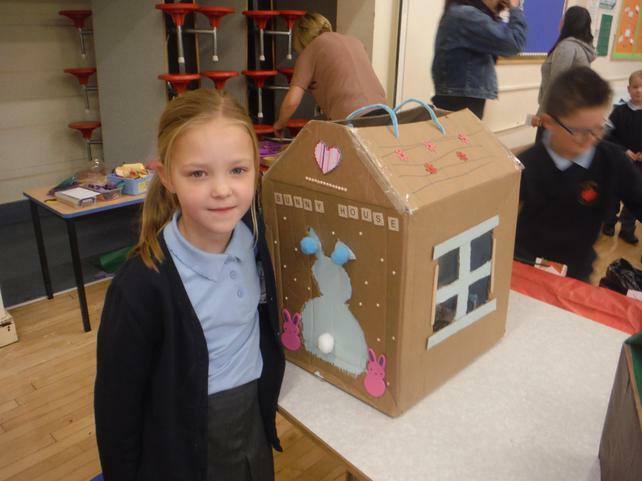 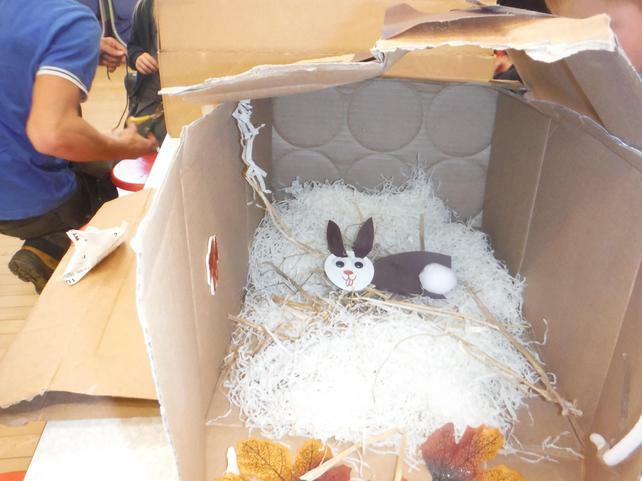 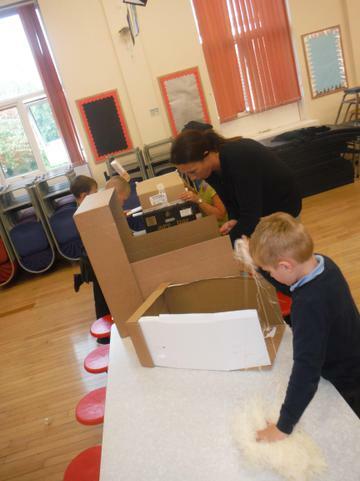 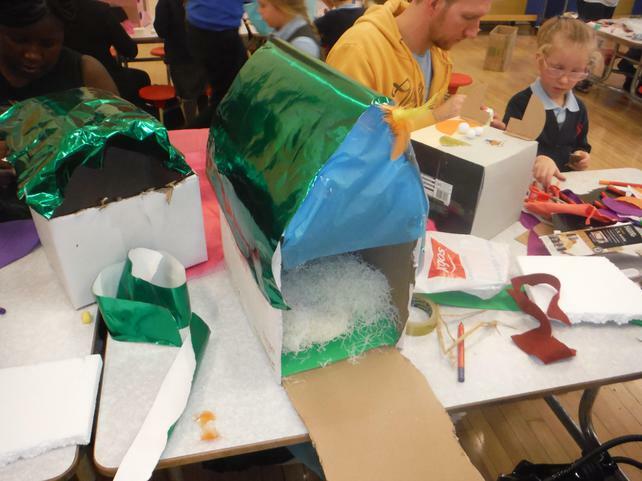 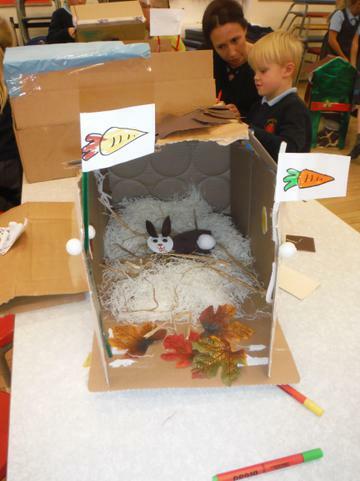 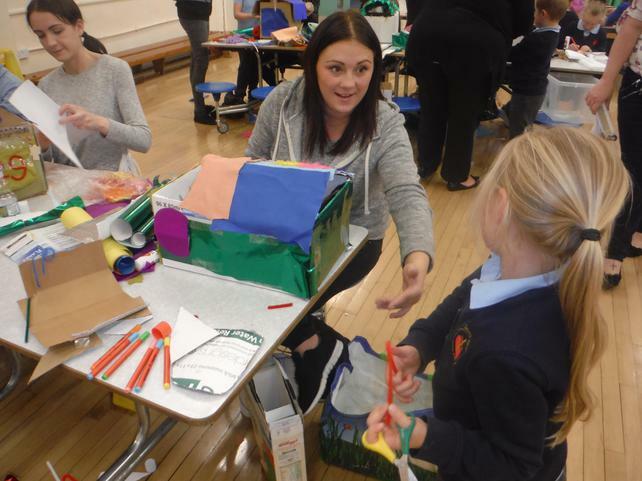 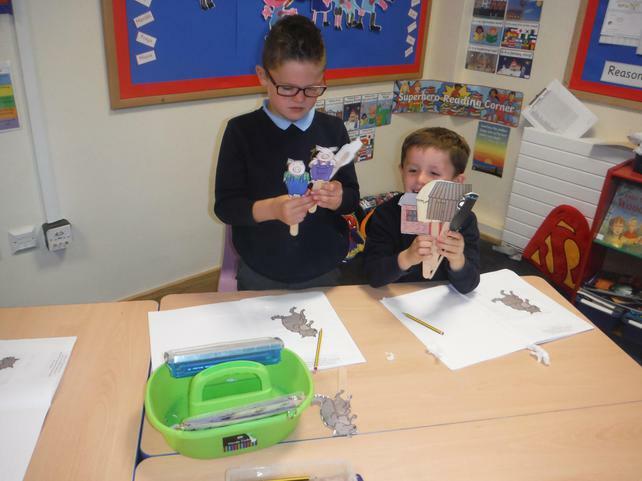 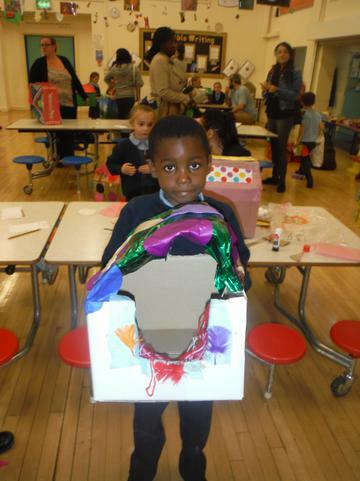 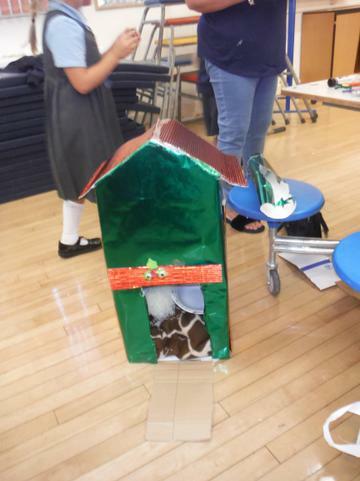 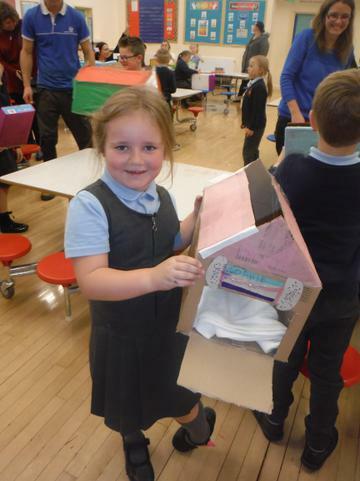 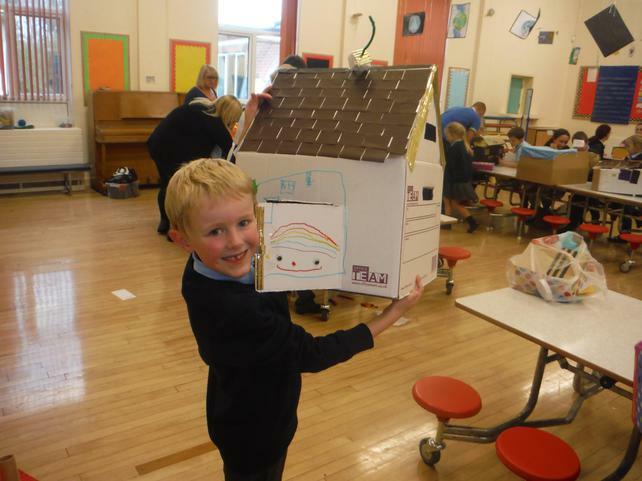 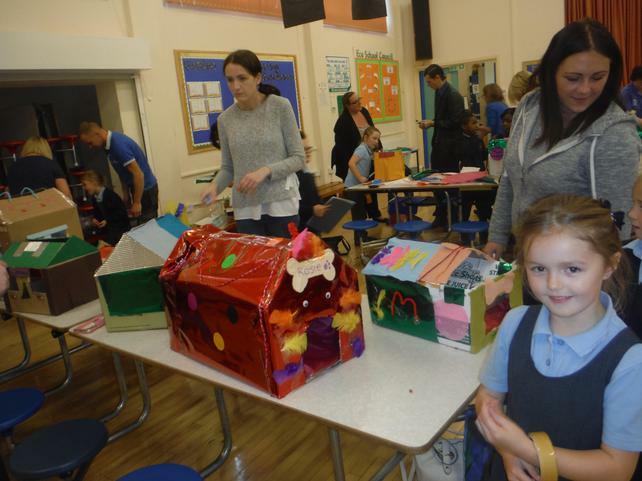 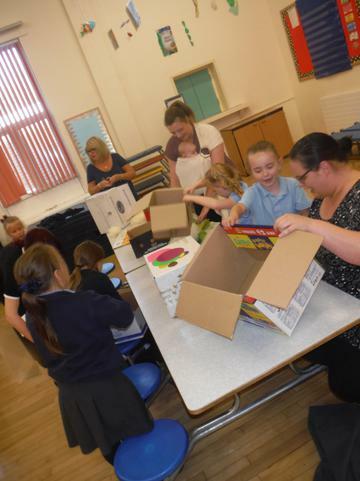 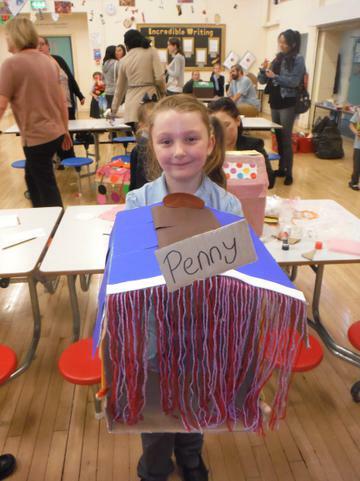 The children all really enjoyed creating their animal homes for their superhero pets, we had some absolutely wonderful designs. 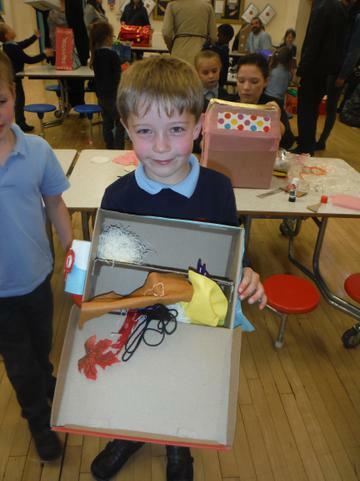 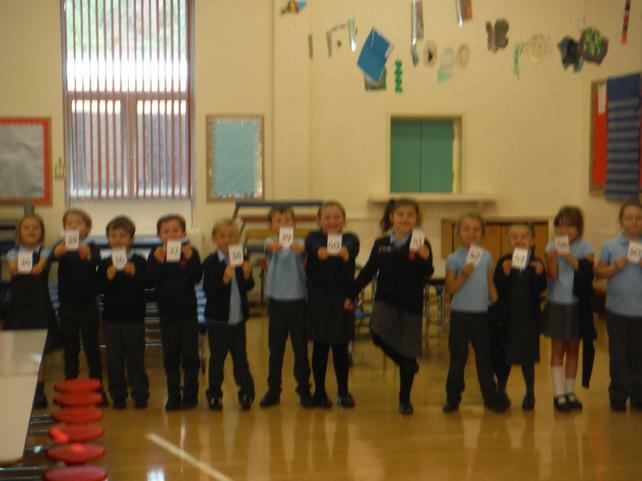 Well done Class 2. 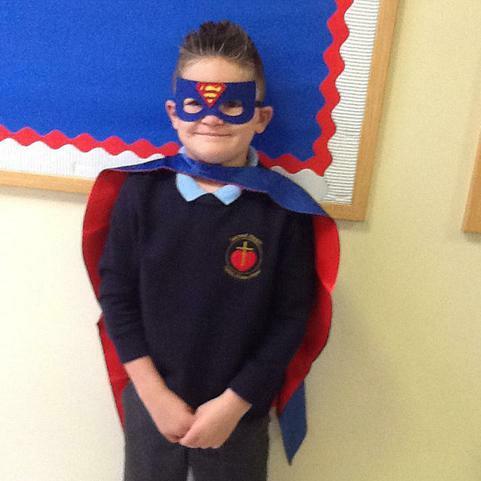 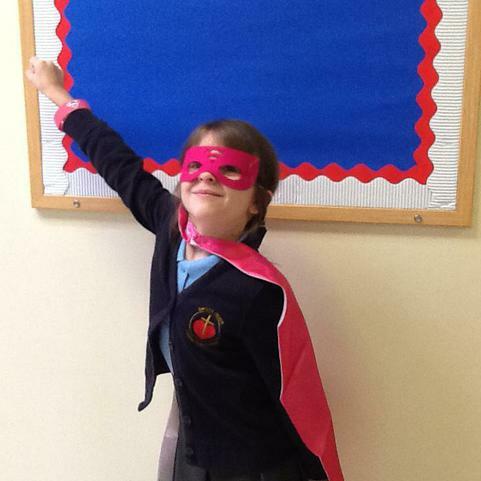 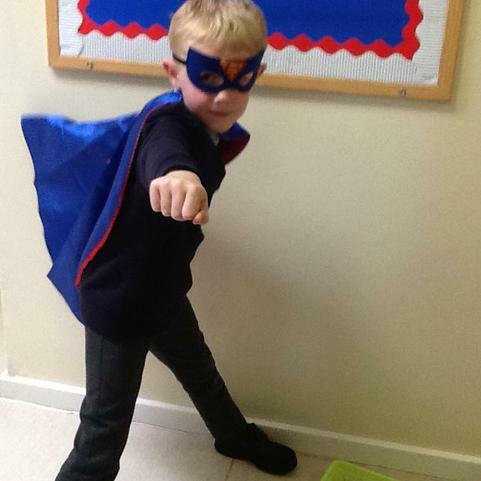 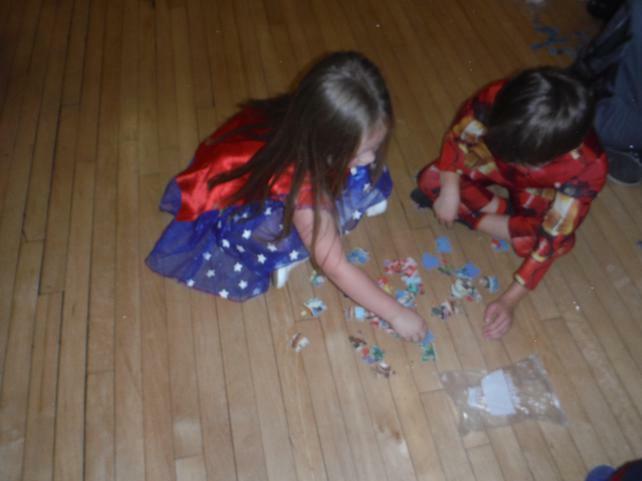 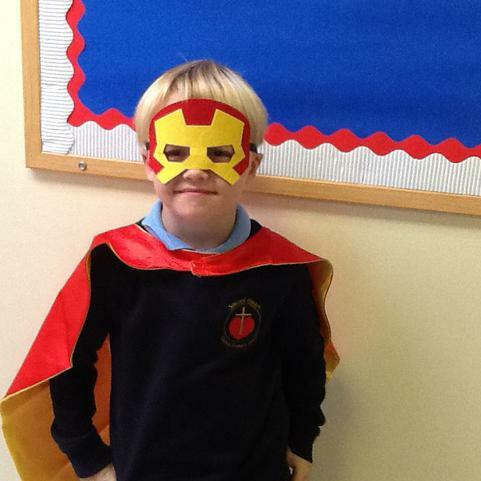 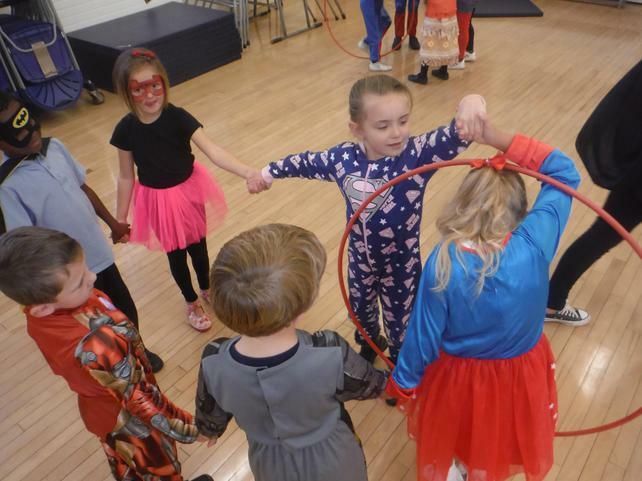 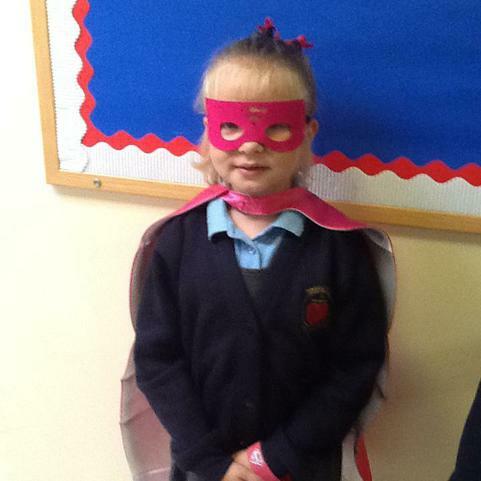 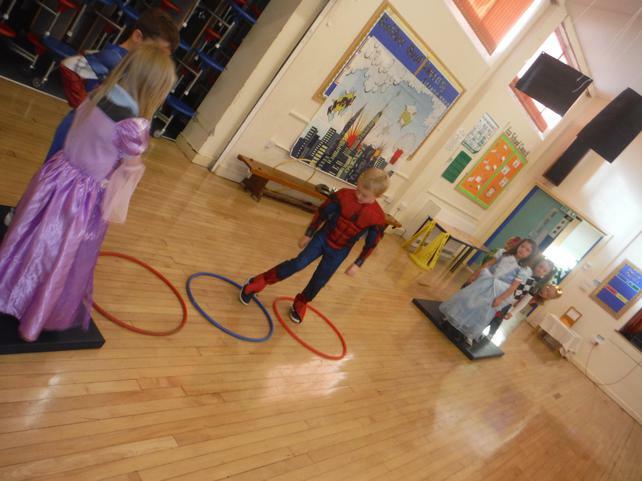 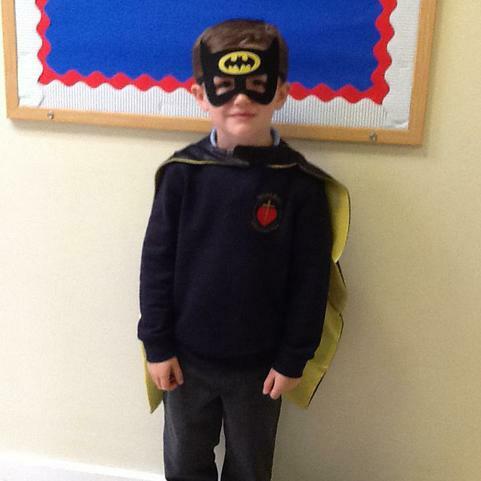 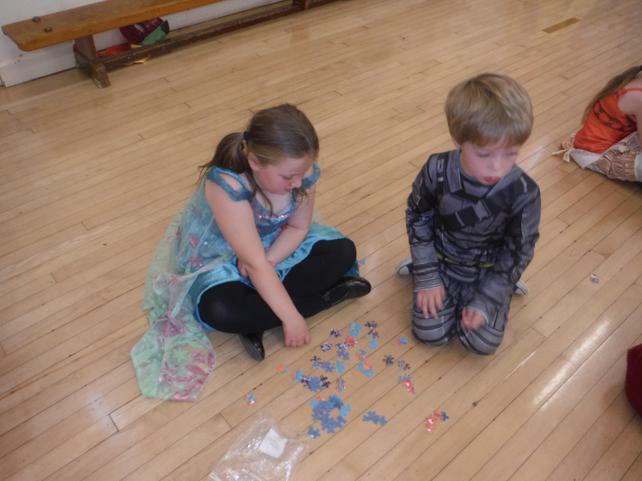 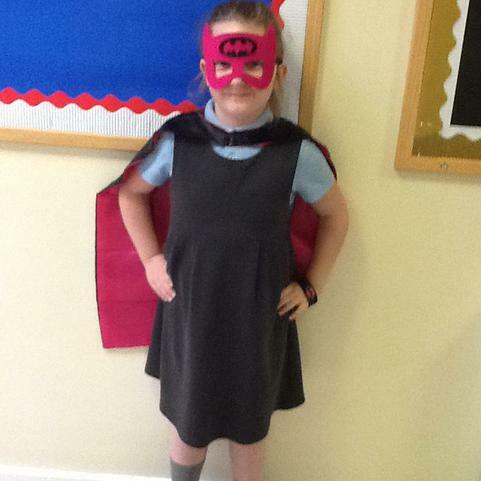 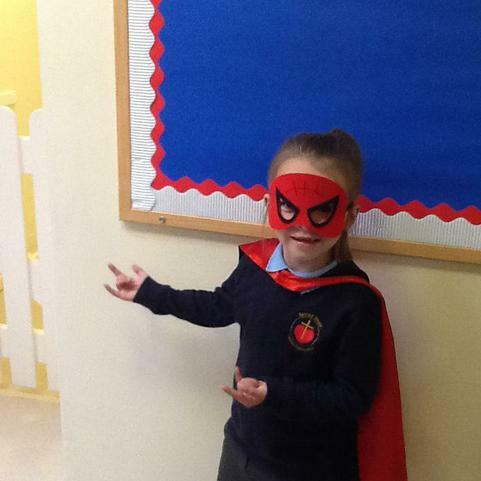 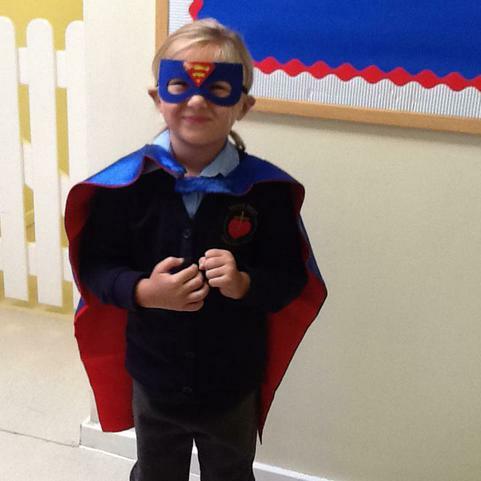 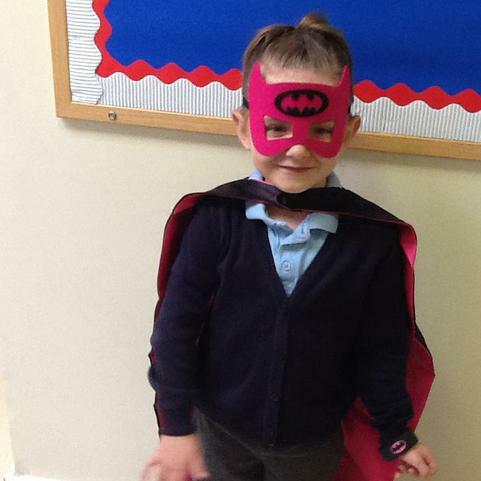 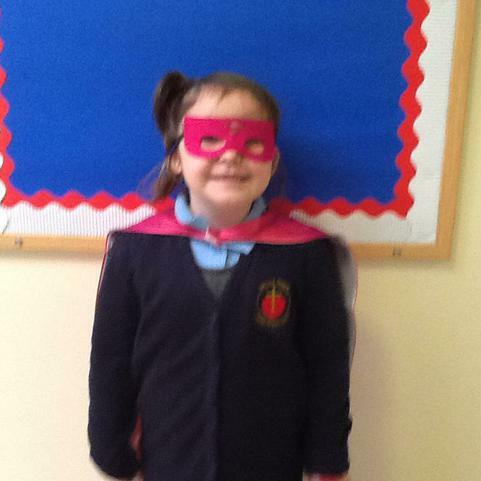 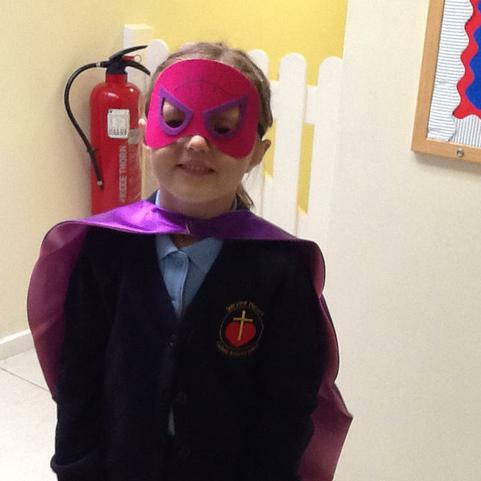 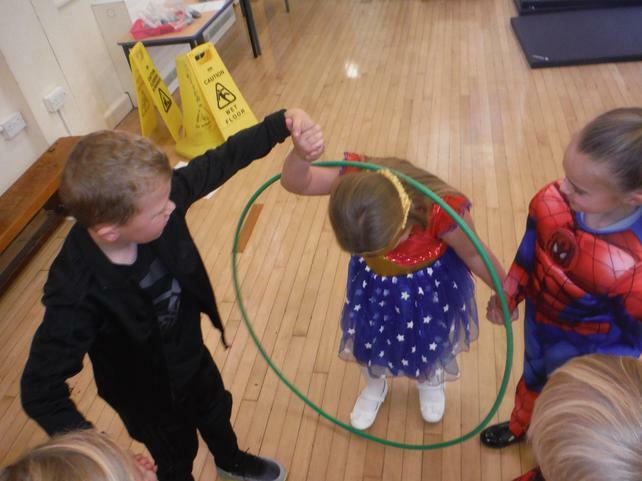 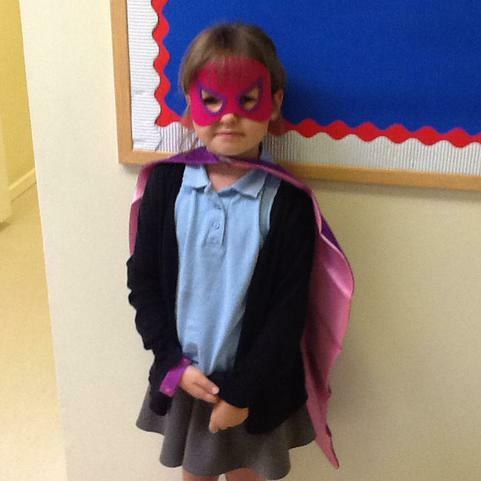 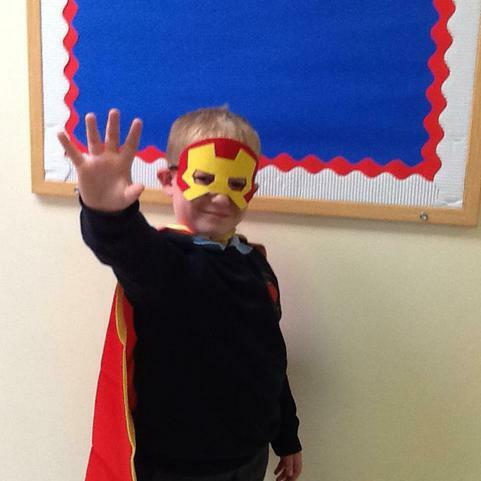 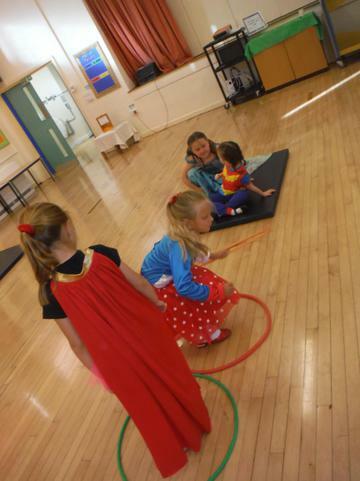 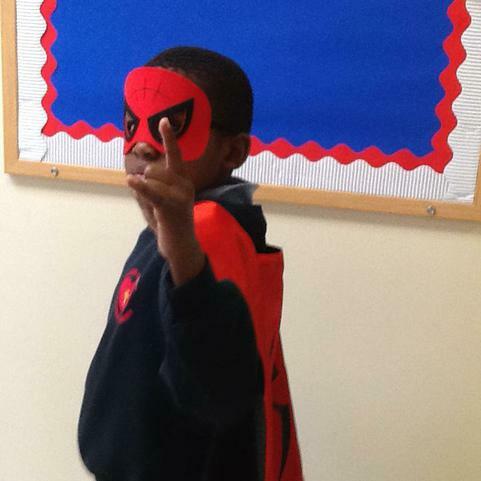 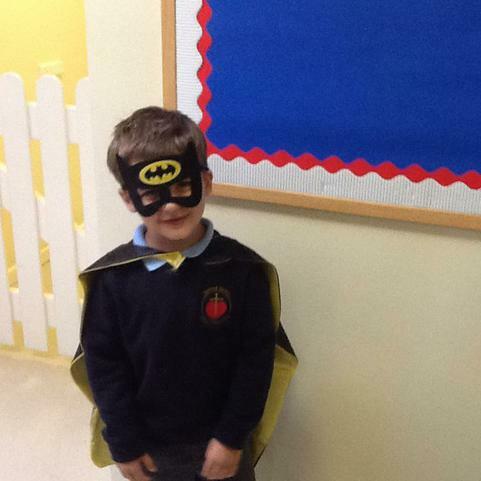 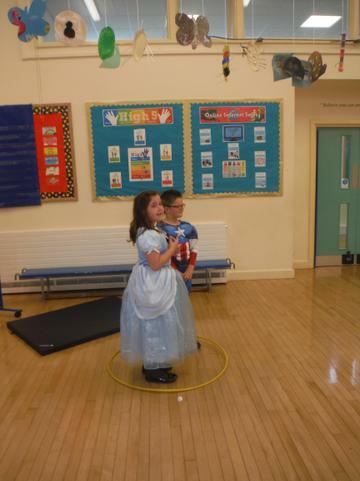 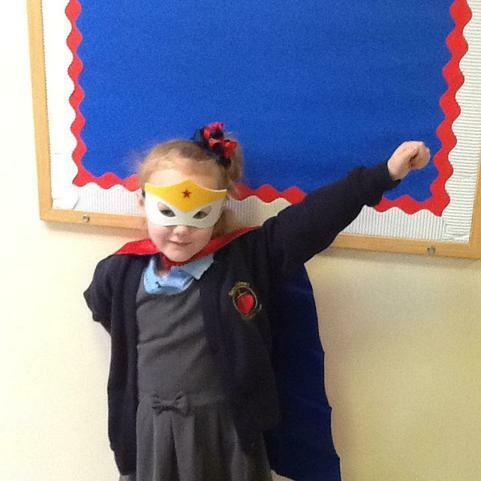 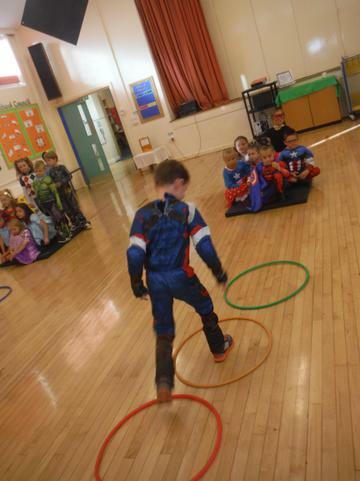 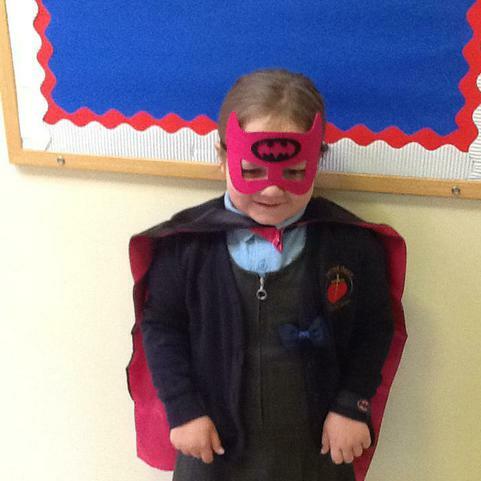 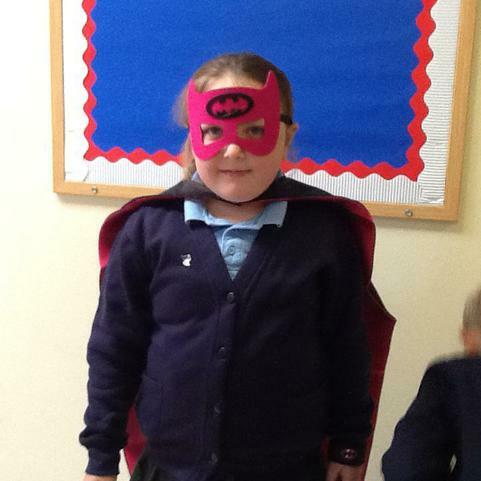 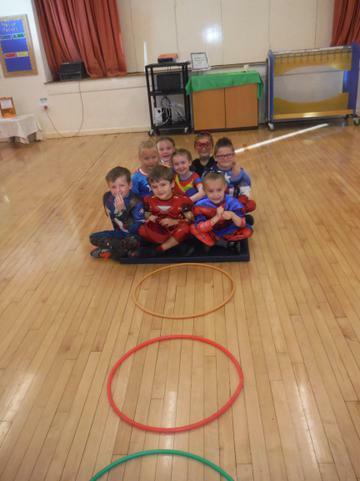 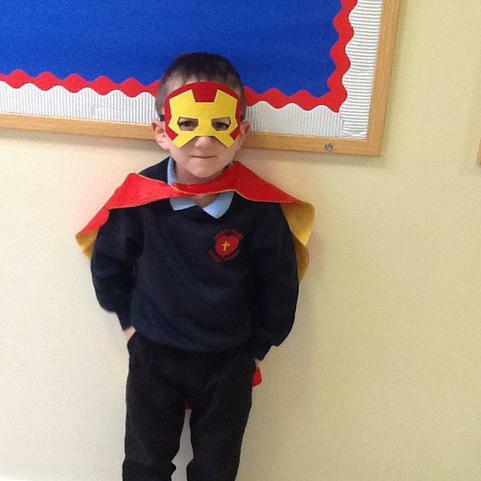 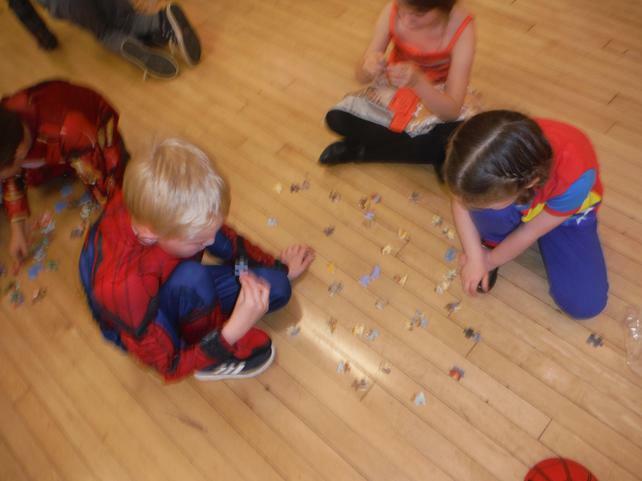 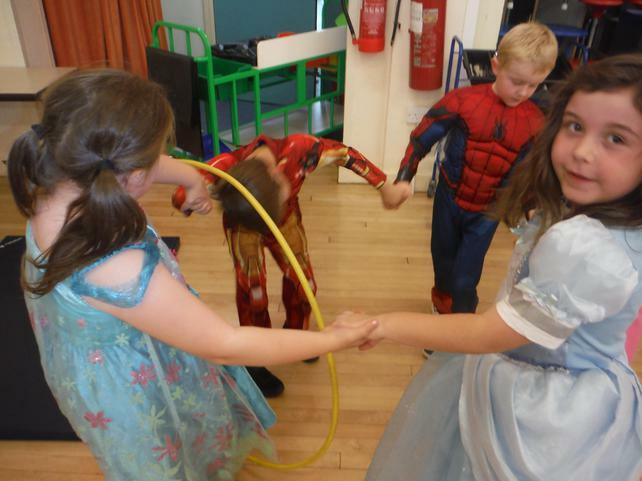 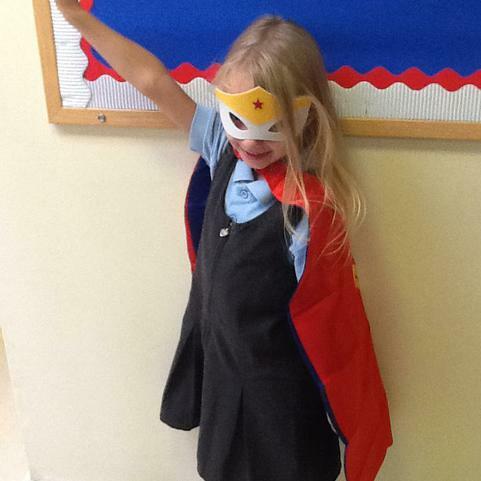 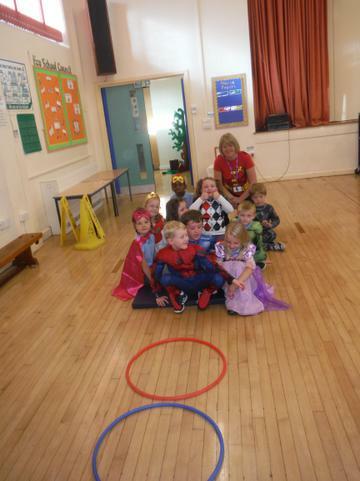 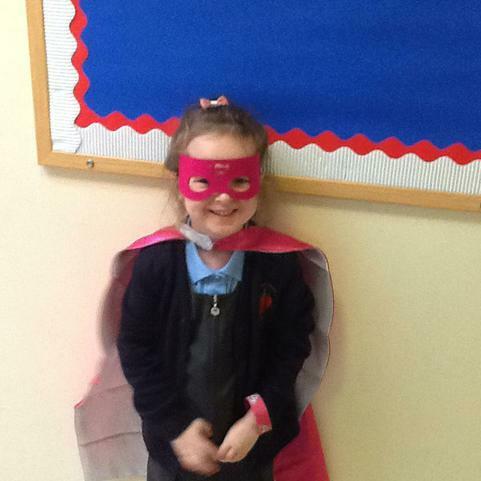 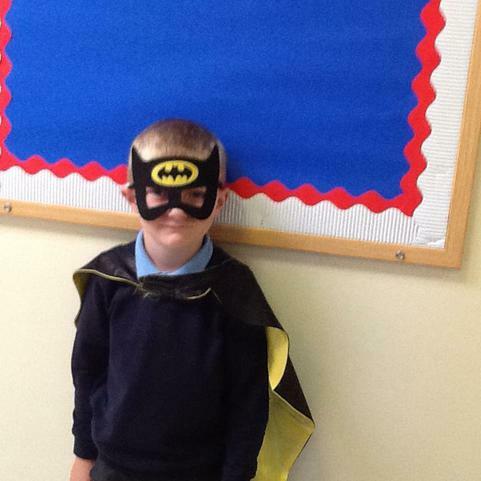 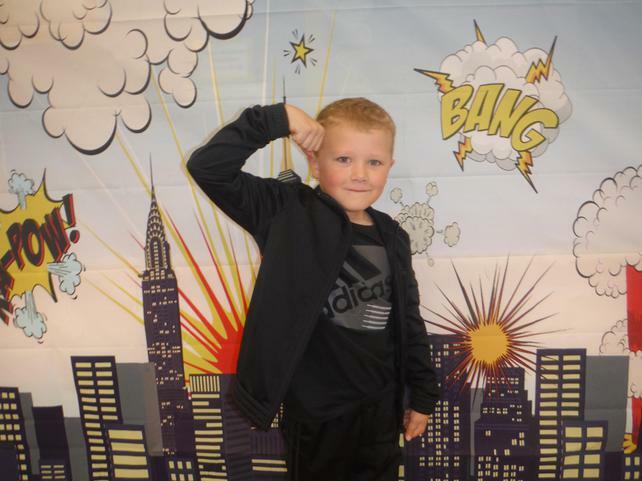 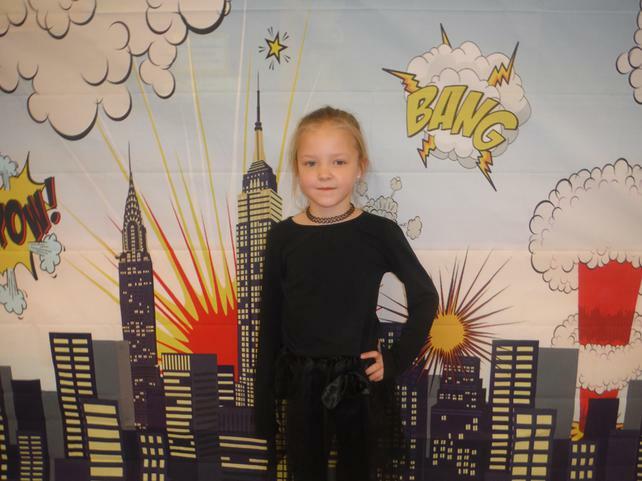 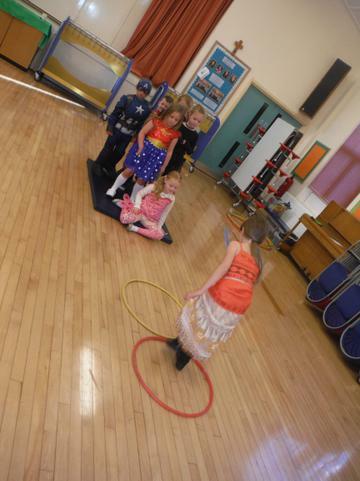 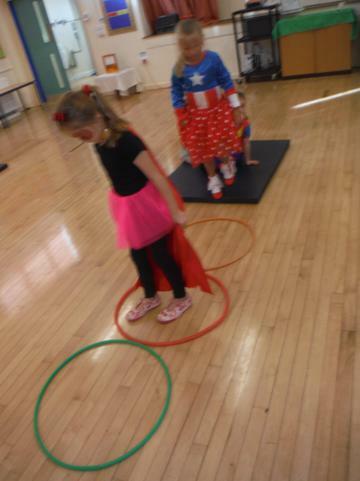 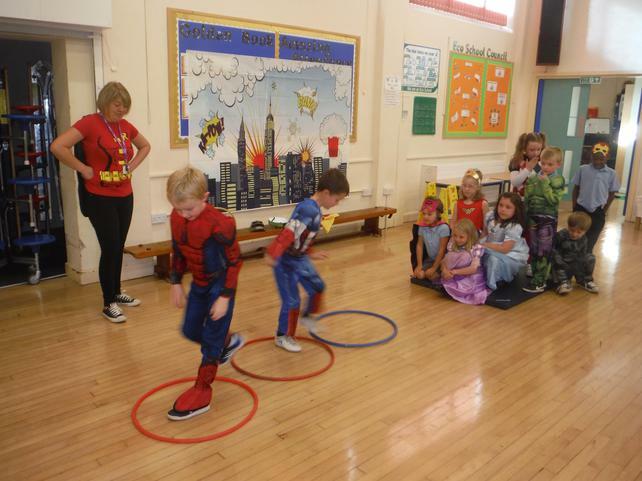 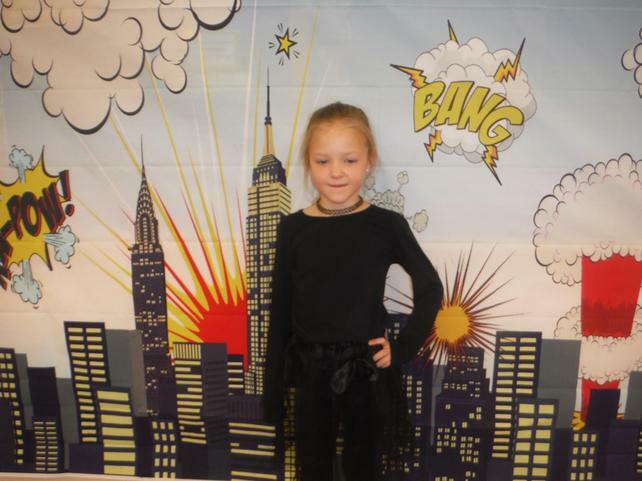 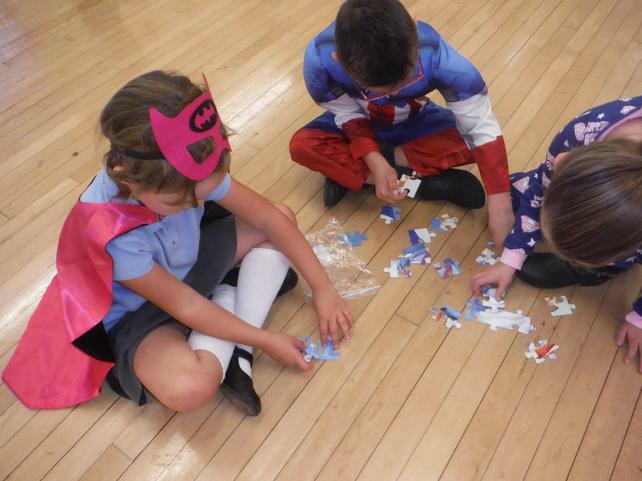 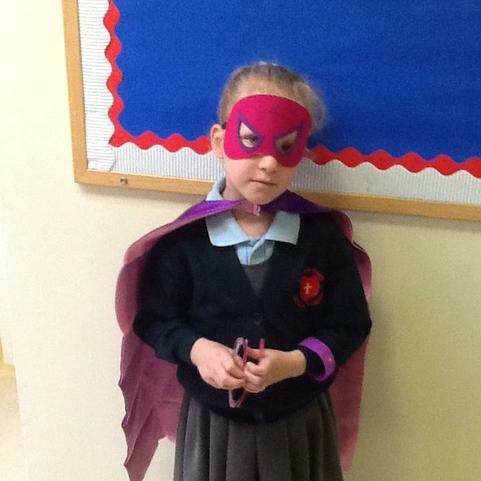 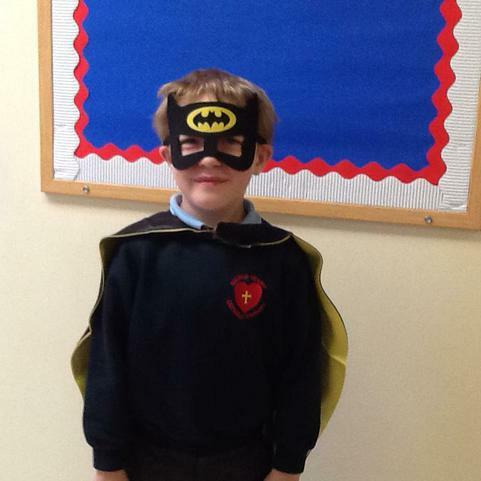 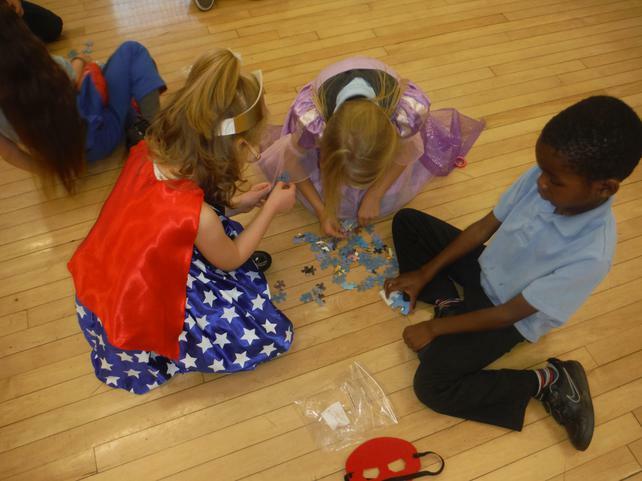 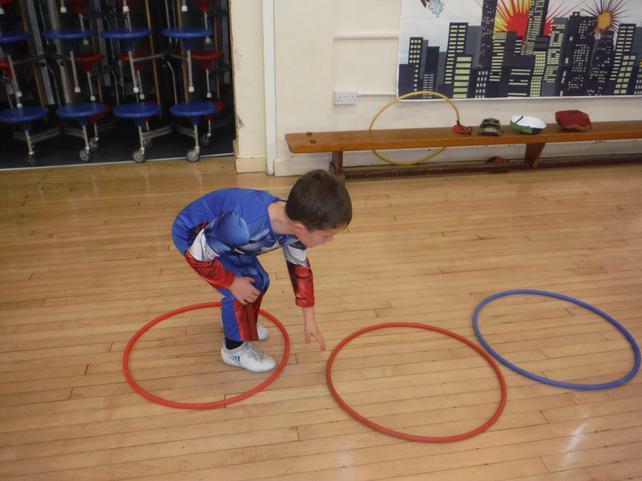 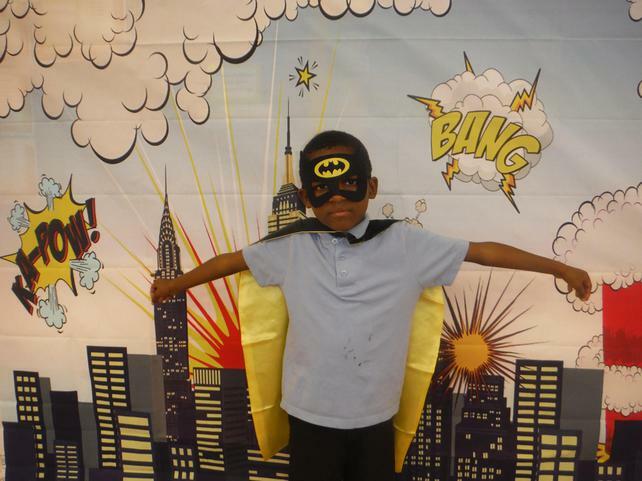 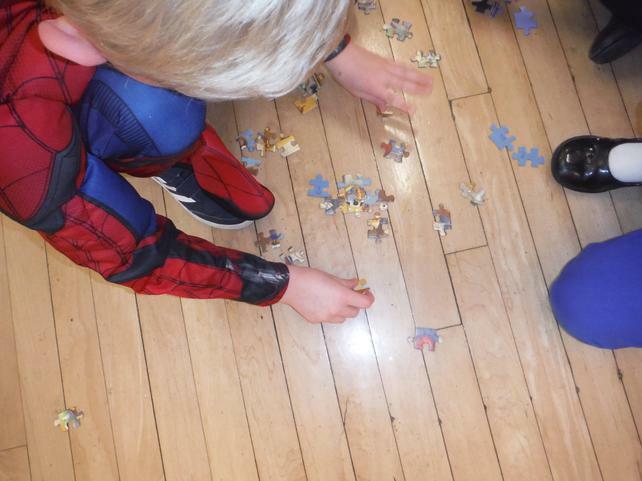 On Monday Class 2 enjoyed being Superheroes for the day. 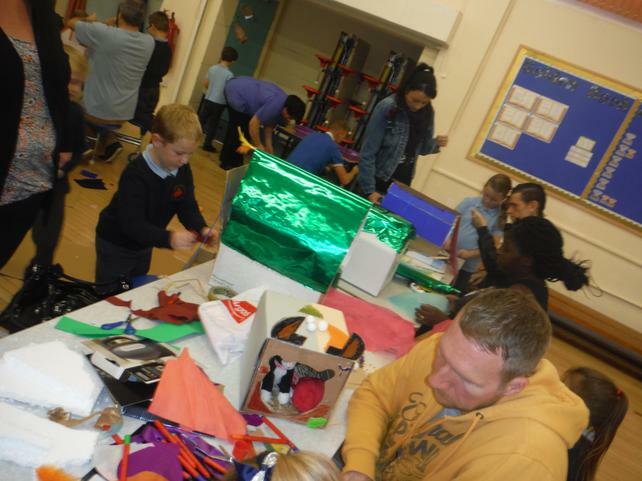 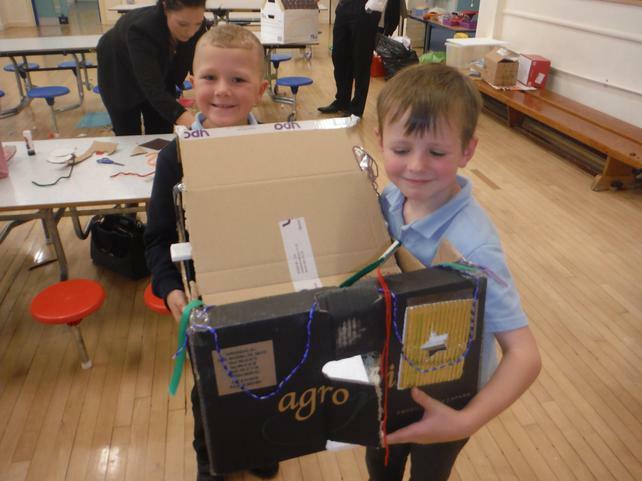 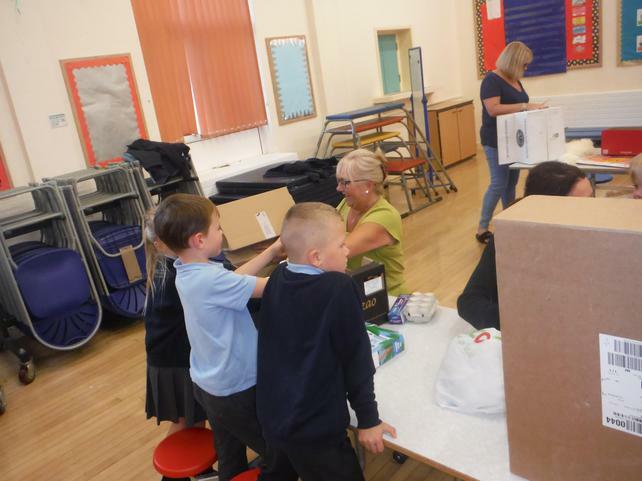 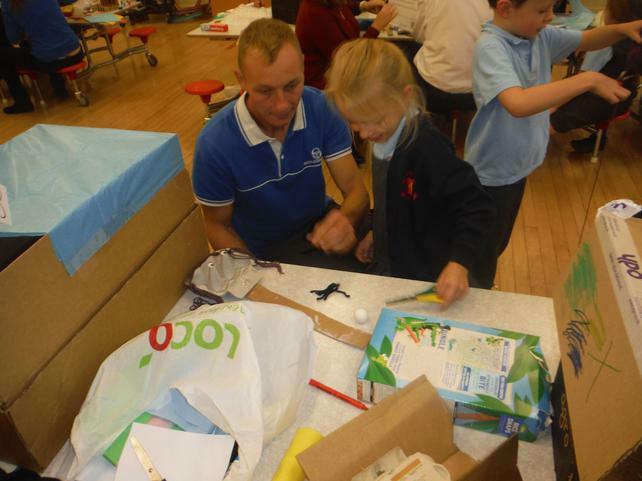 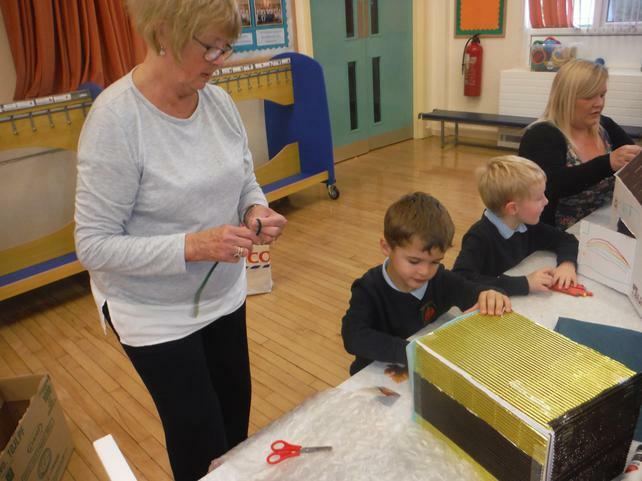 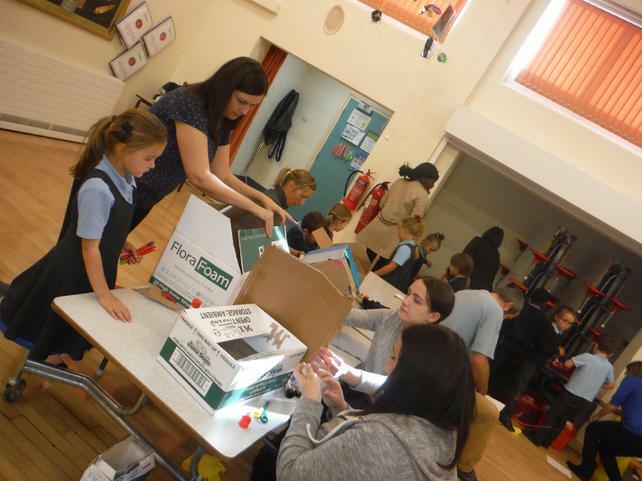 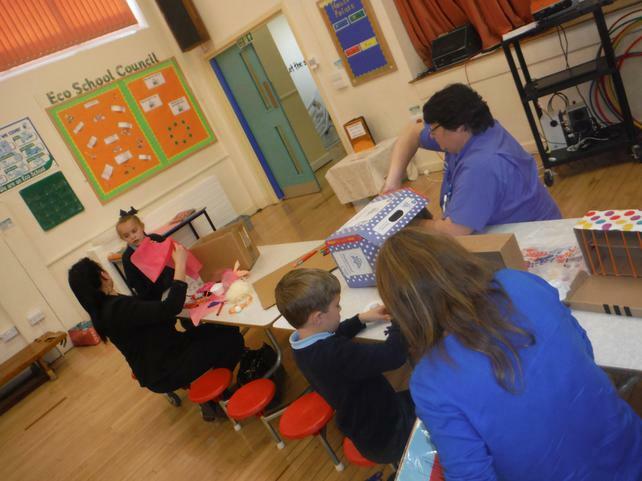 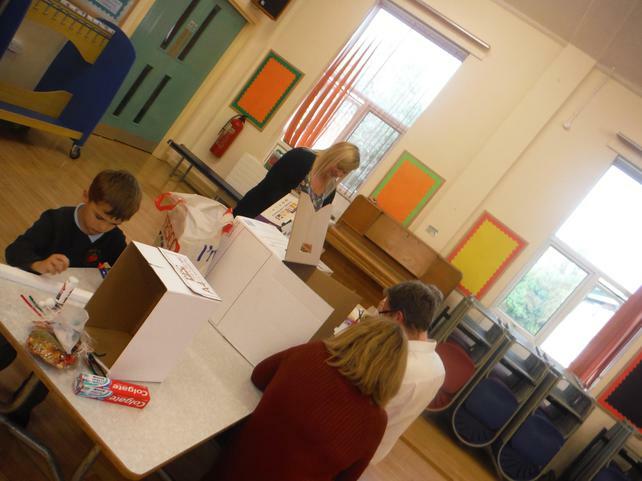 We learnt lots of new skills, particularly the one of working together and appreciating the input of everyone in our team. 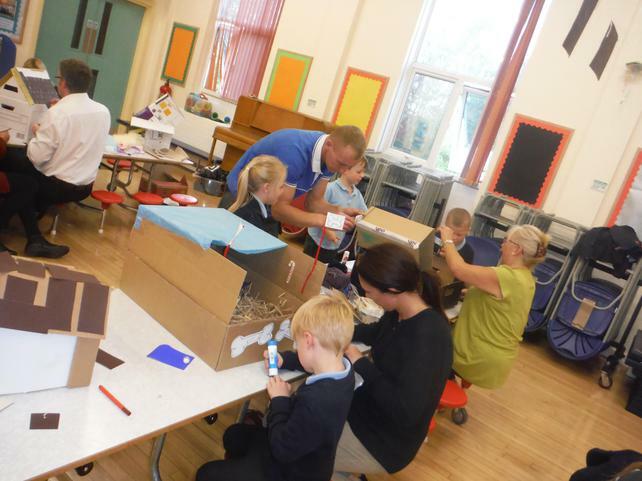 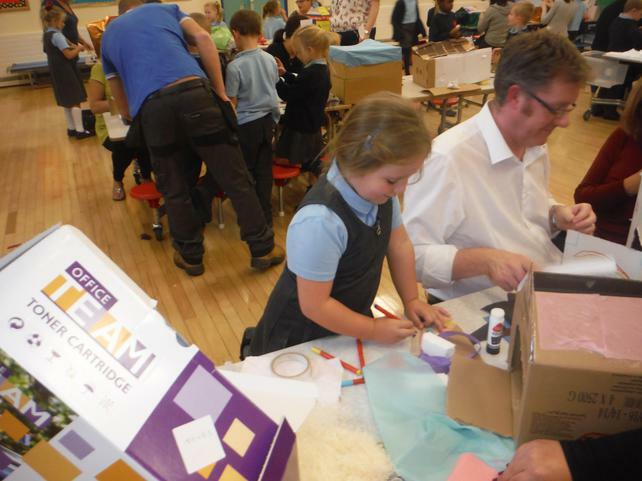 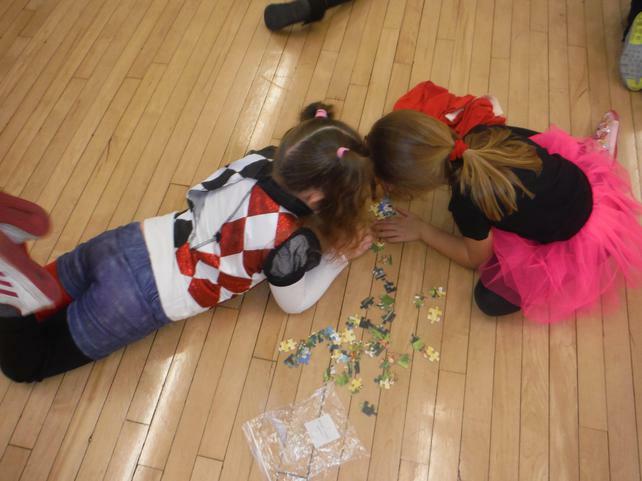 Take a look through the photo's to find out something of the exciting things we did. 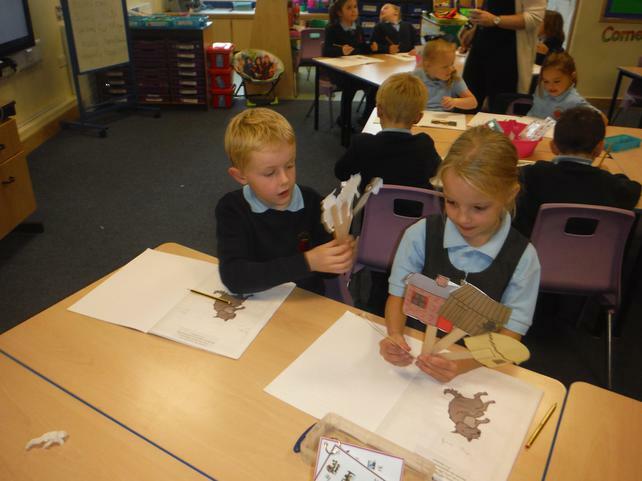 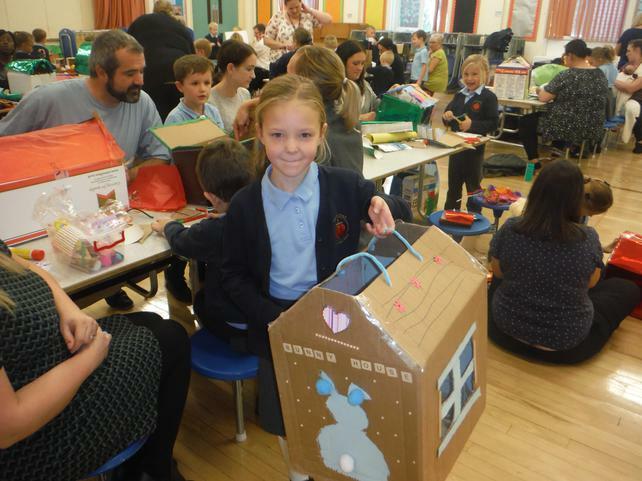 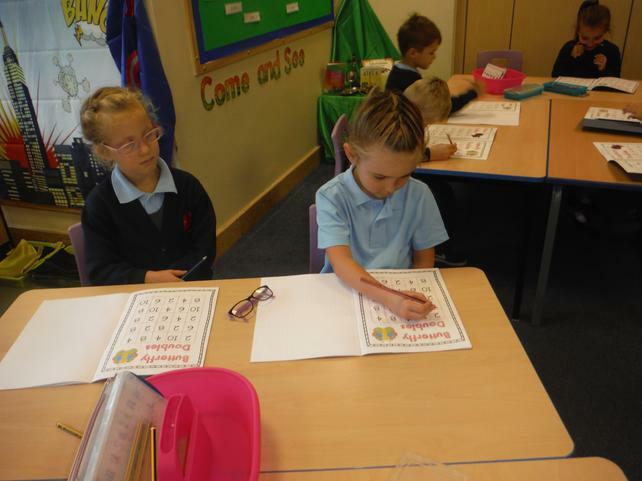 Another busy week in Class 2. 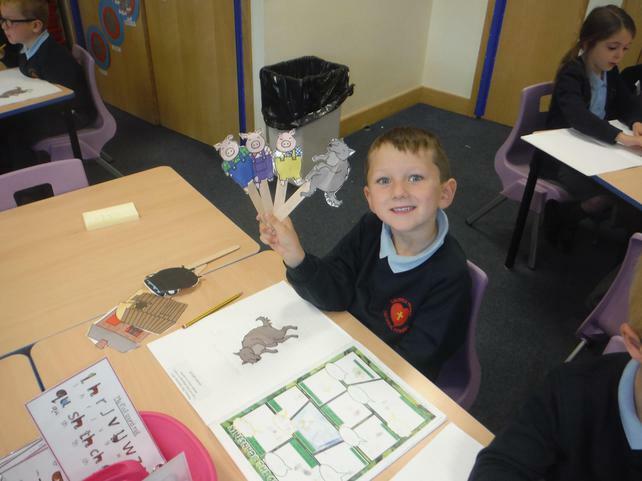 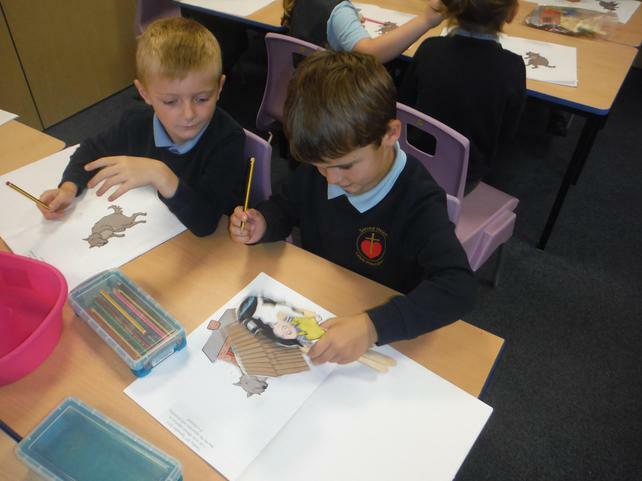 We have been thinking about the story of the Three Little Pigs and using adjectives to describe, we also looked a book called The Three Horrid Little Pigs to compare the character of the Wolf in each text. 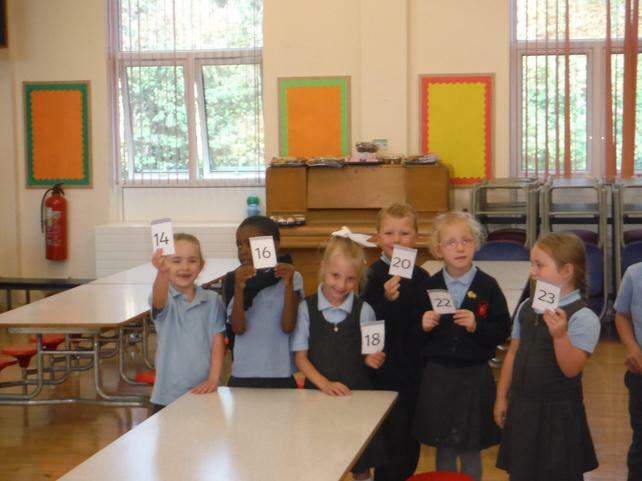 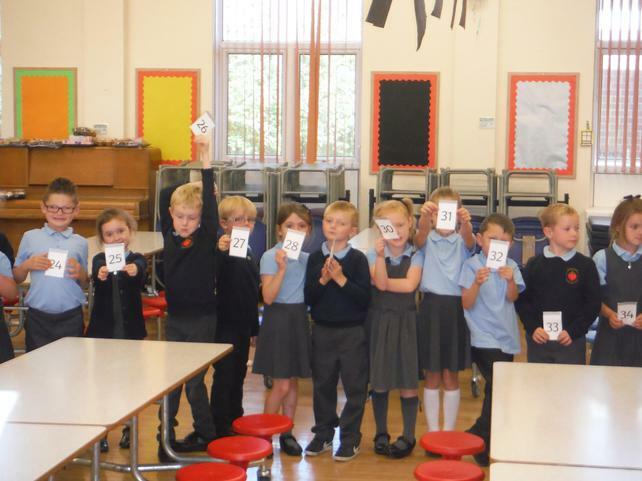 In Maths we have been we have been using our number gators to compare greater and less as well as fitting in time to order numbers within 100. 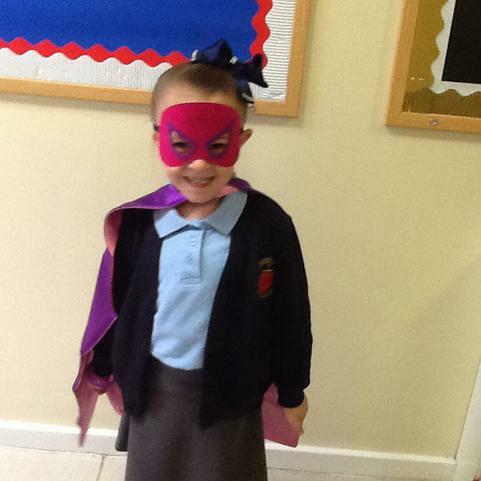 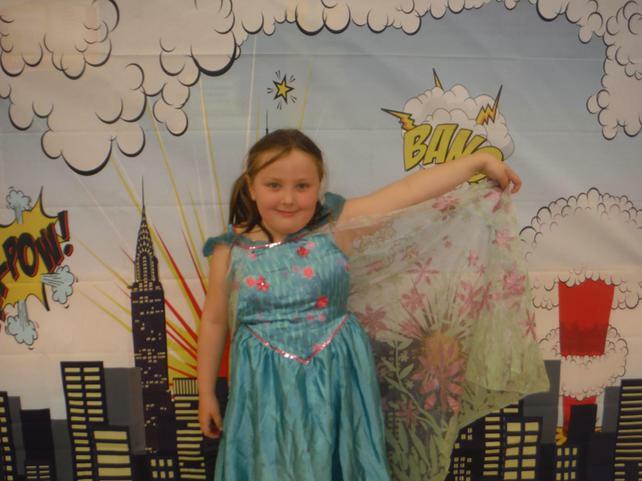 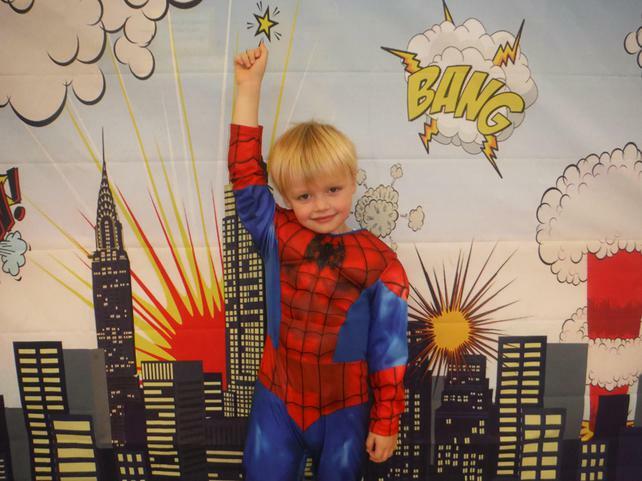 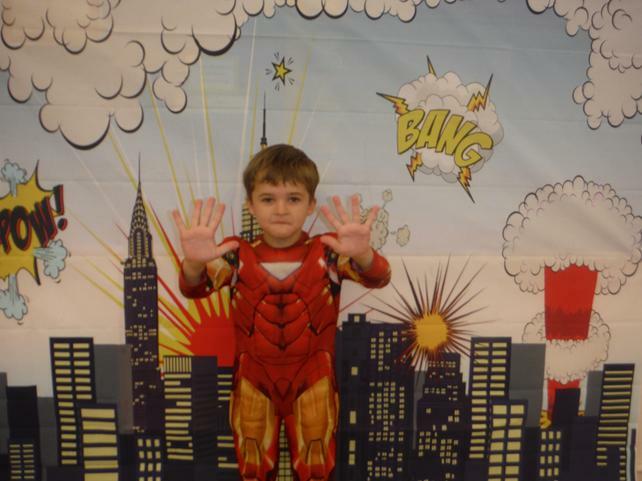 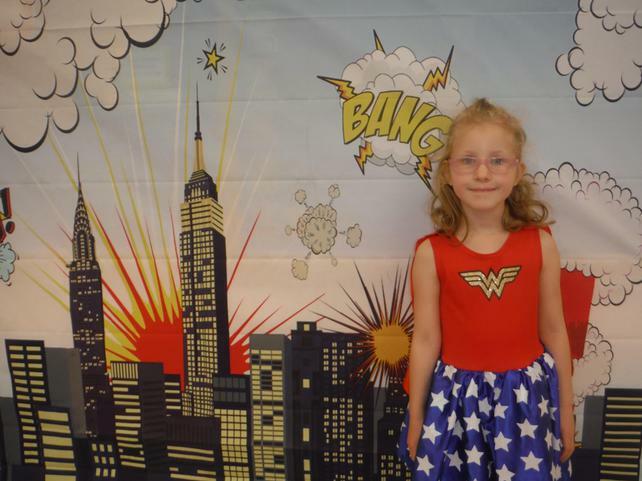 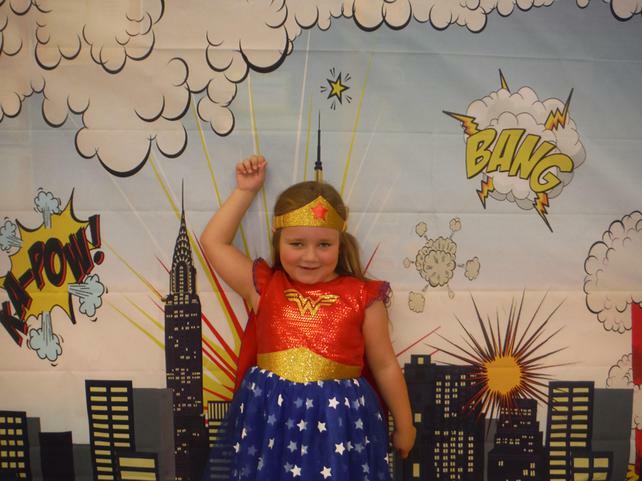 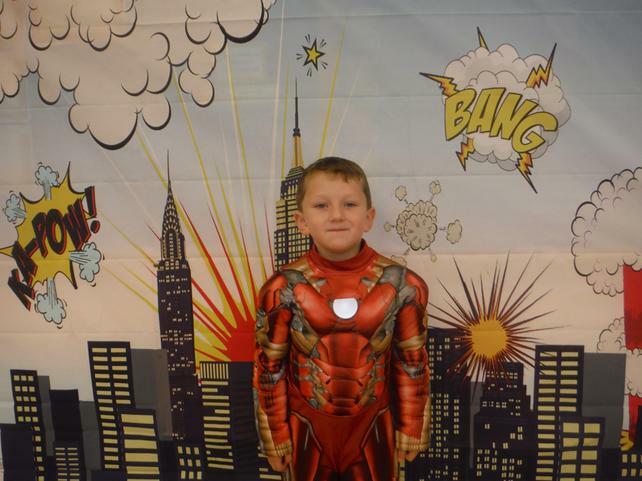 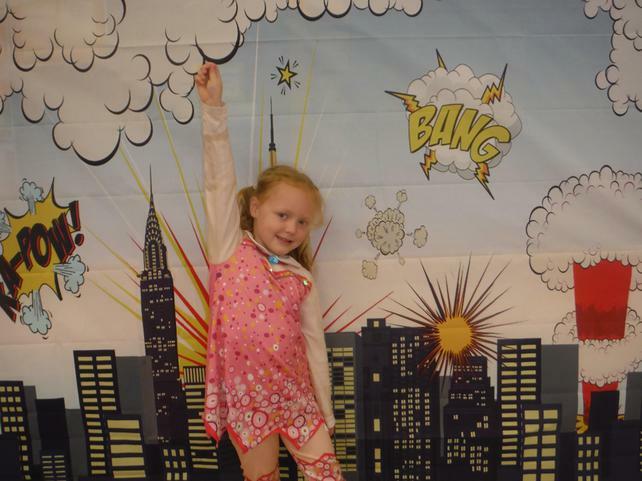 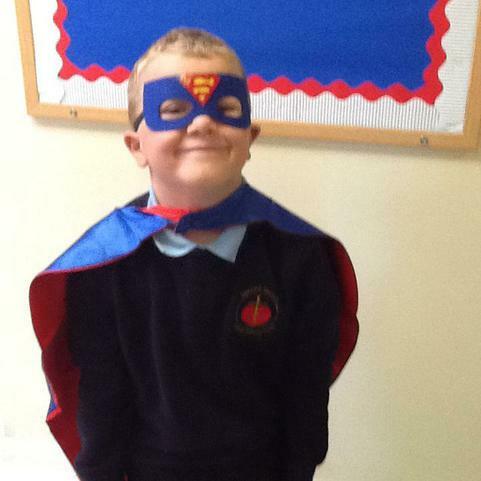 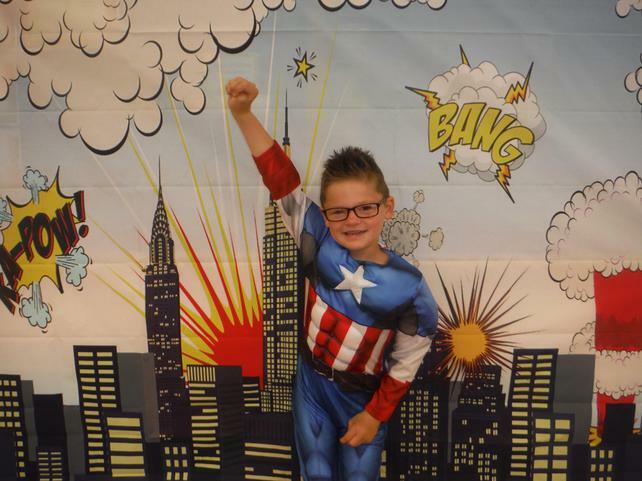 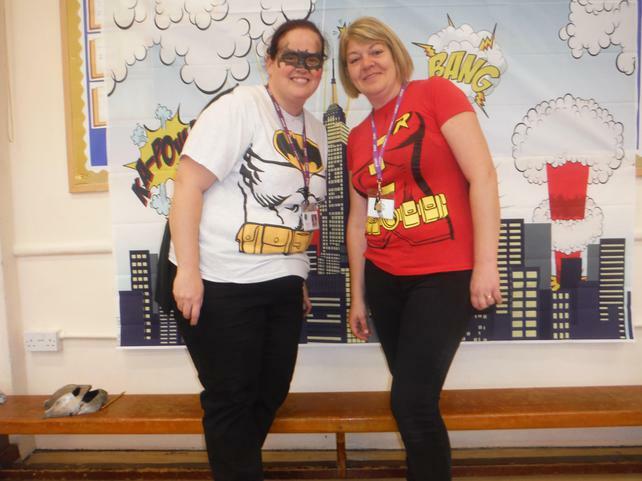 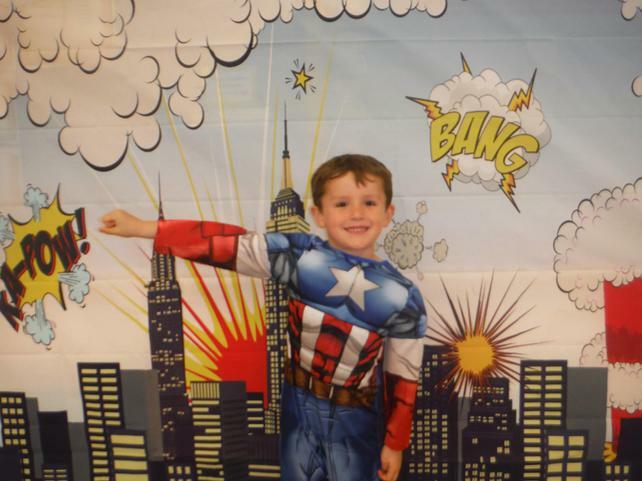 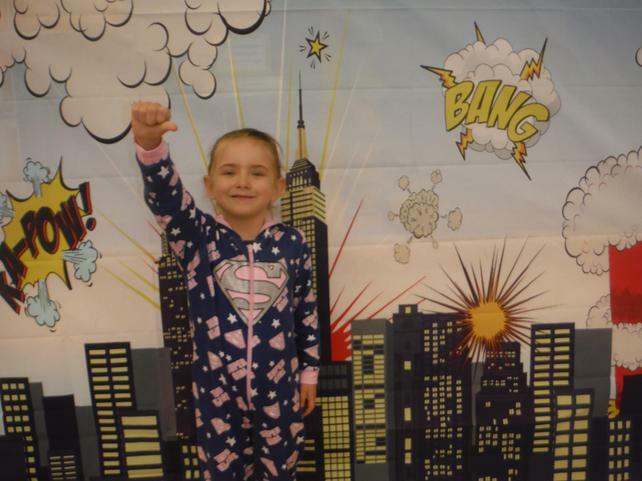 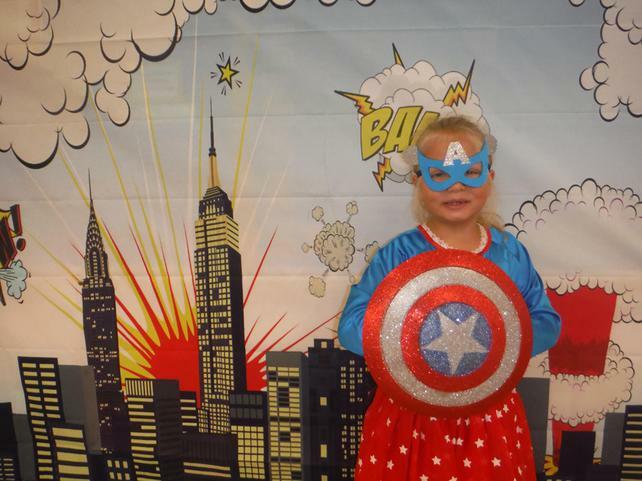 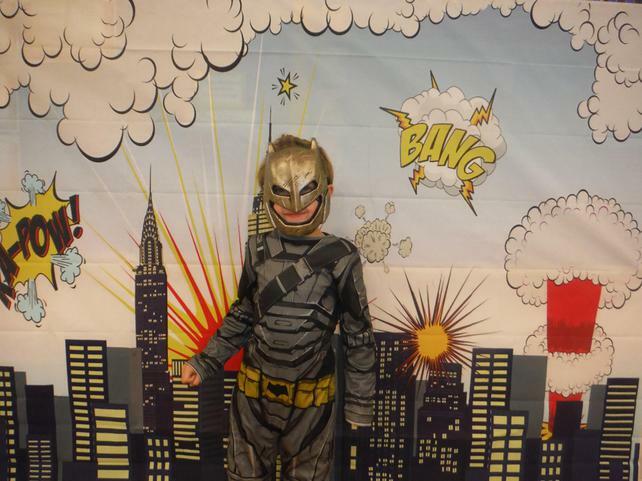 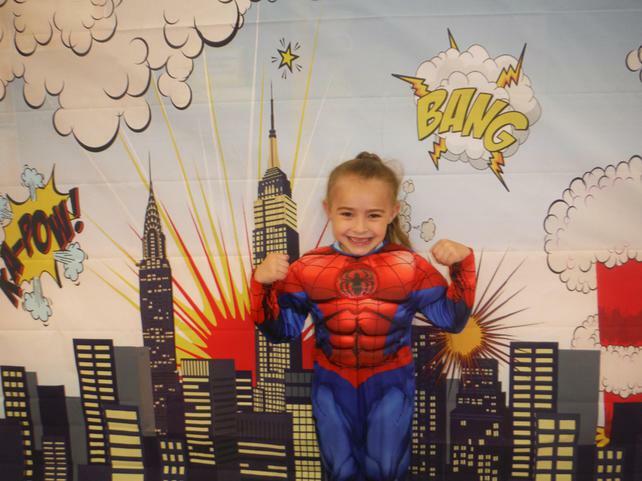 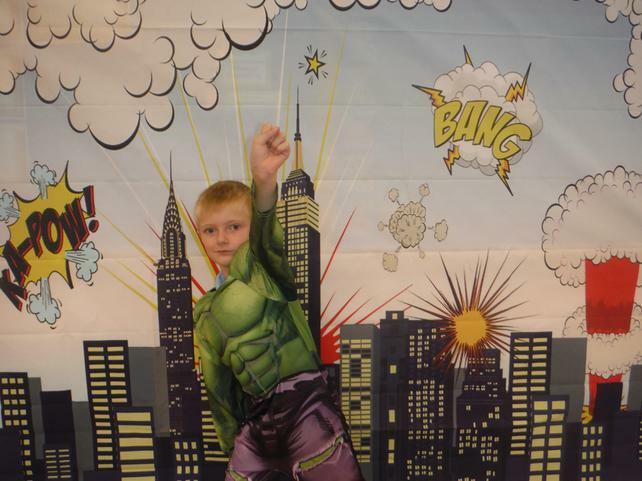 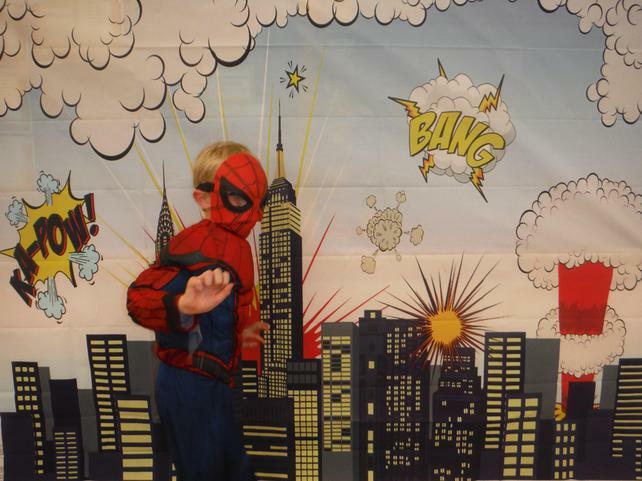 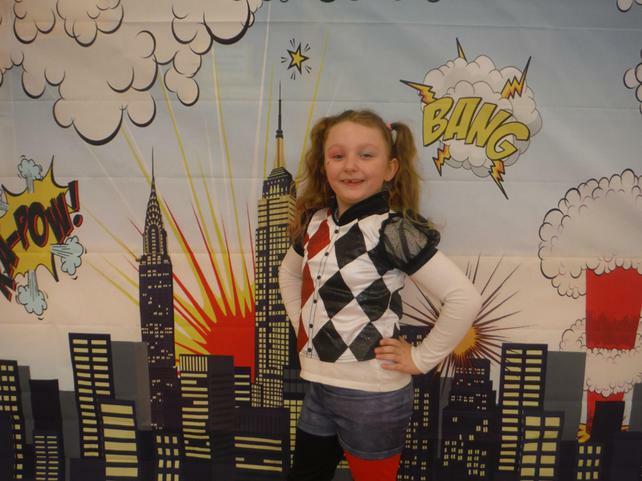 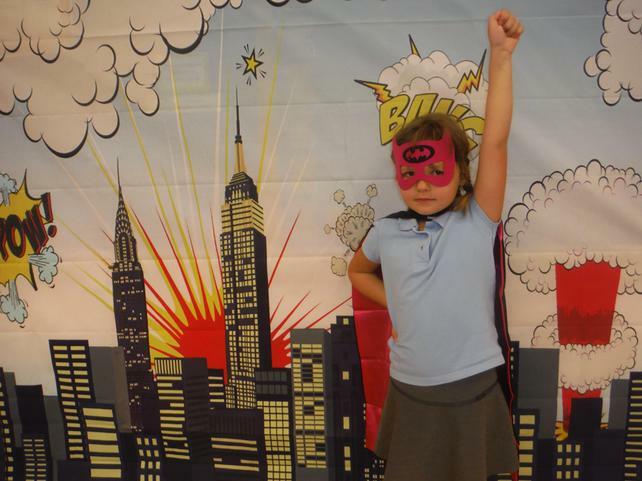 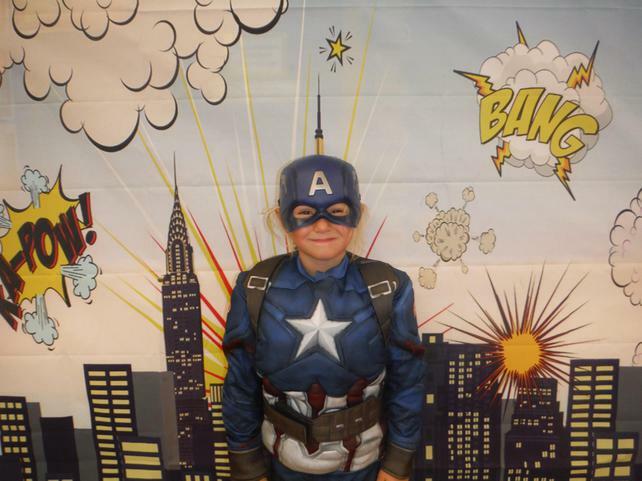 Don't forget on Monday we have our Superhero Day, all children are invited to come into school dressed as a Superhero. 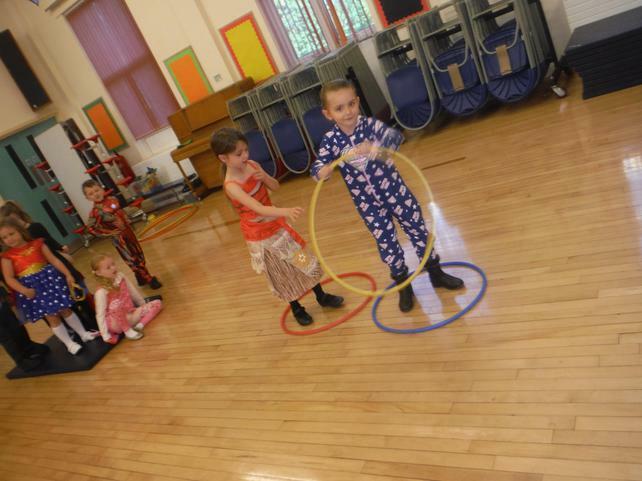 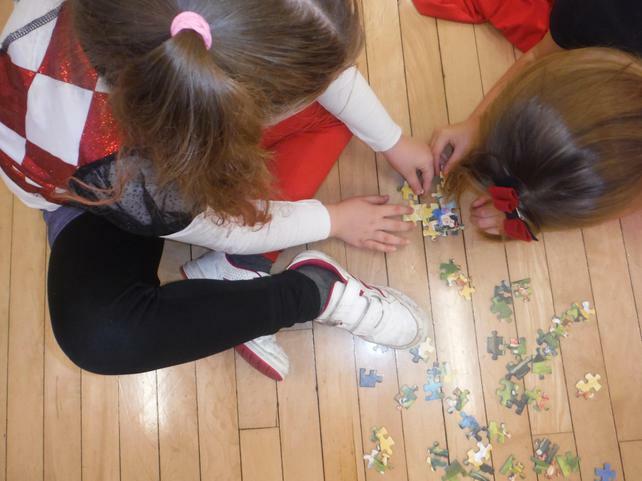 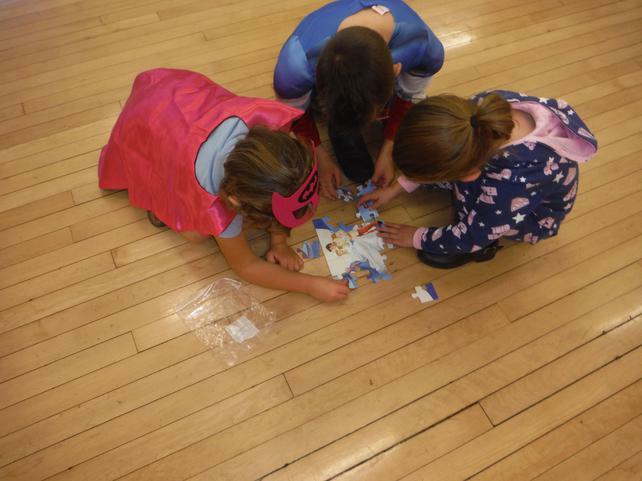 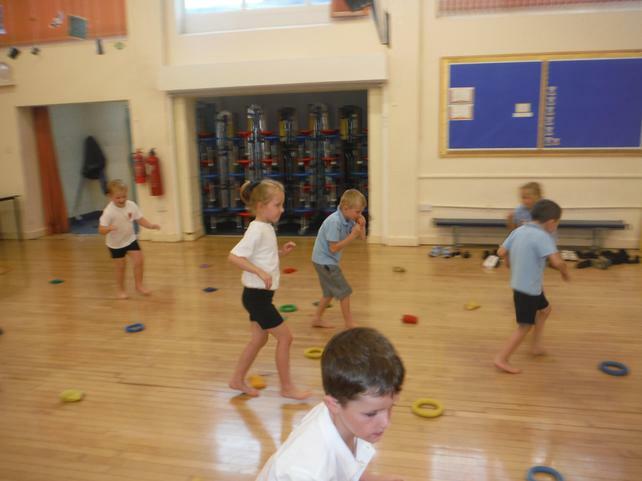 This week in PE Class 2 worked hard to work together, we thought about the different ways to work as a team and discovered the more we listen to each other the more we can achieve. 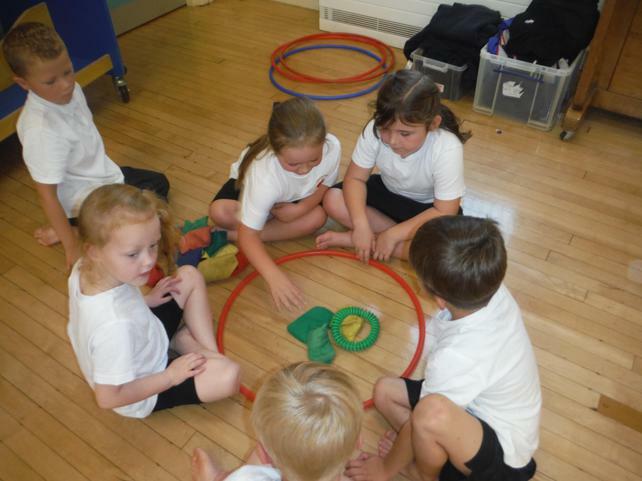 We played a game called 'Nuts and Squirrels', experimenting with different ways of travelling to collect food for our fellow squirrels. 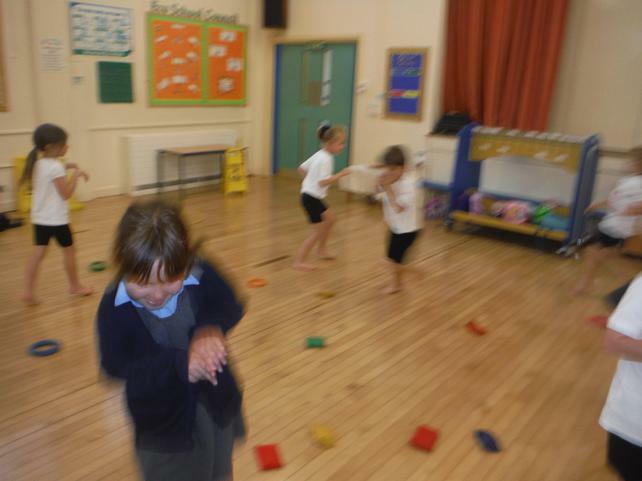 Our favourite way to travelling was definitely jumping and hopping. 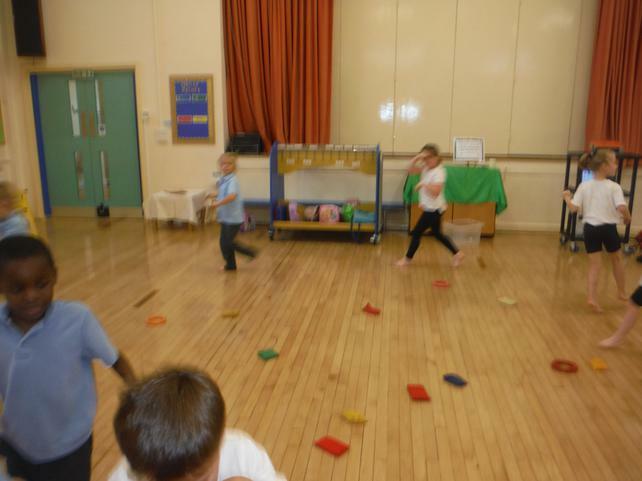 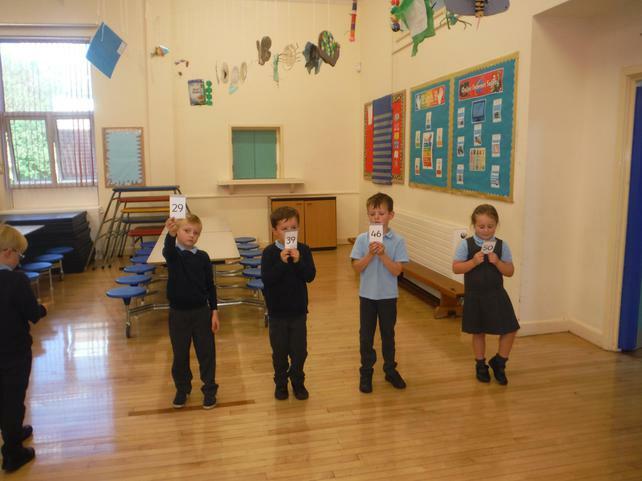 We also played a very exciting game of 'Pirate Ship', where we listened carefully to instructions to keep the ships captain happy on his voyage across the seven seas! 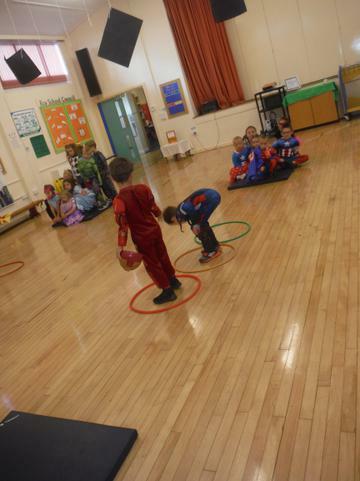 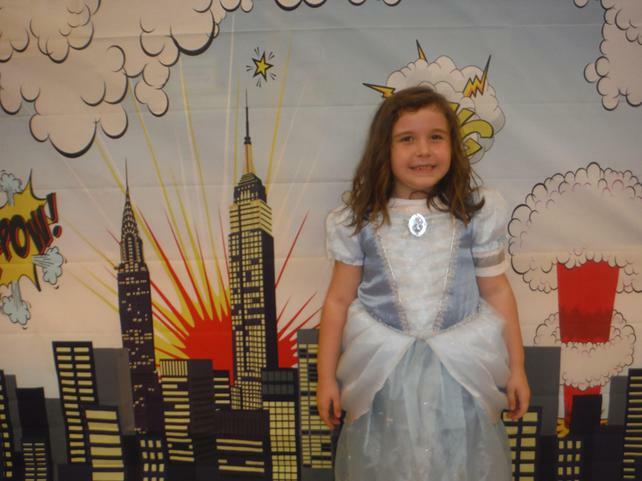 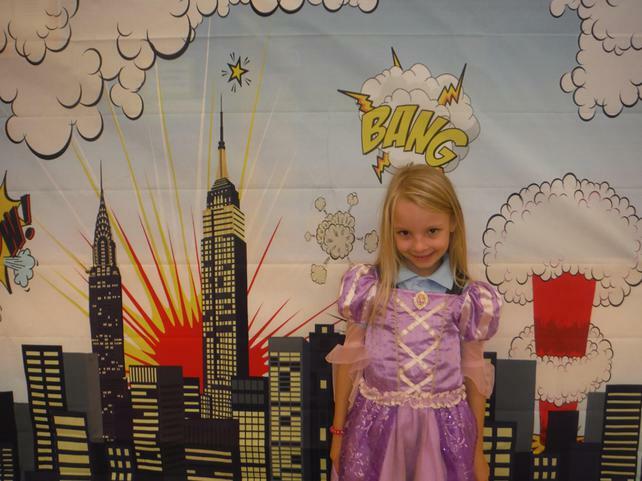 Are you a superhero or a villain?! 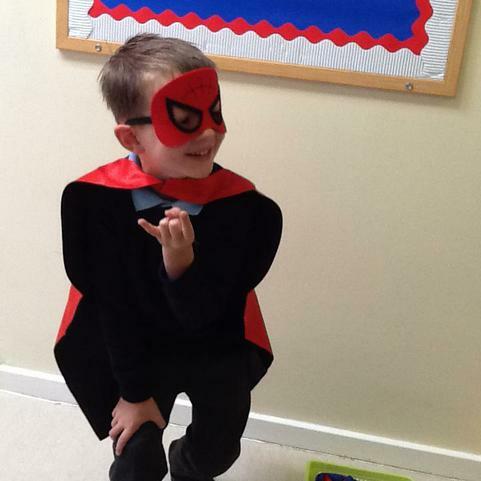 This week in Class 2 we have been thinking about our new Topic 'Superheroes', we have looked at what superheroes do and how they use their special powers. 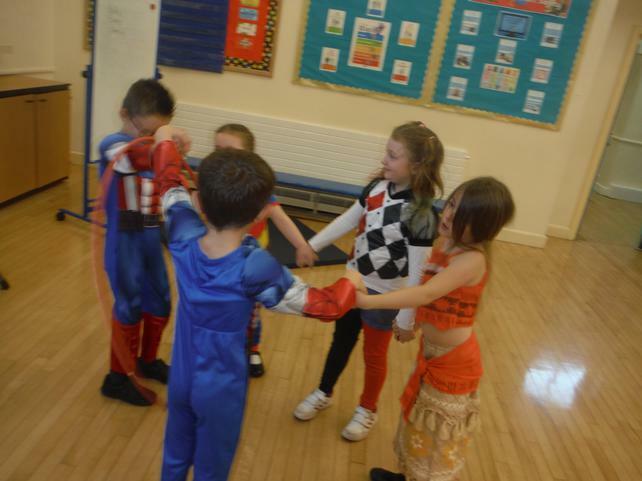 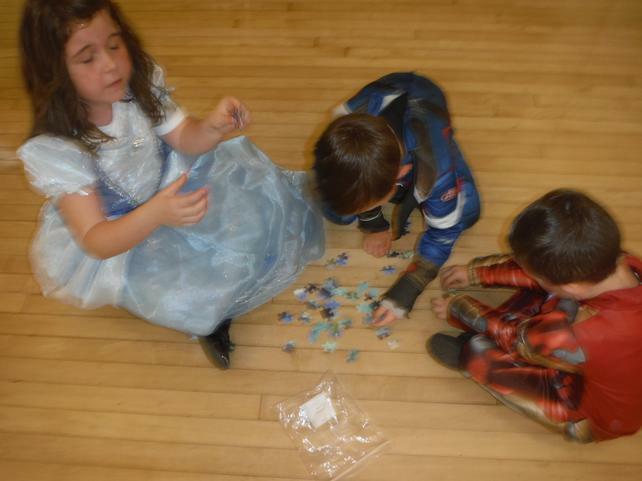 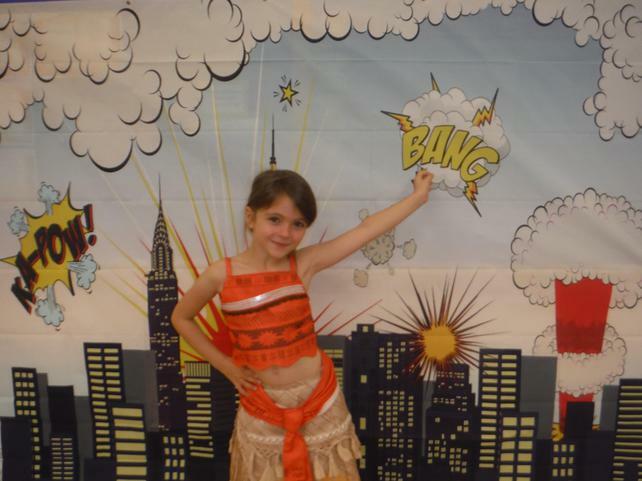 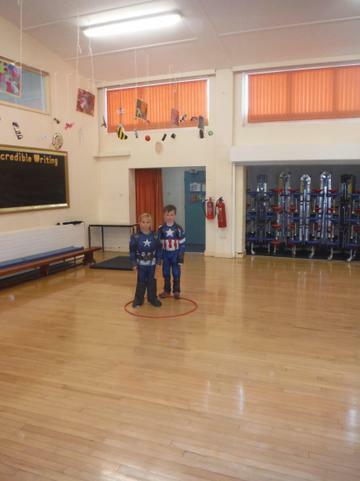 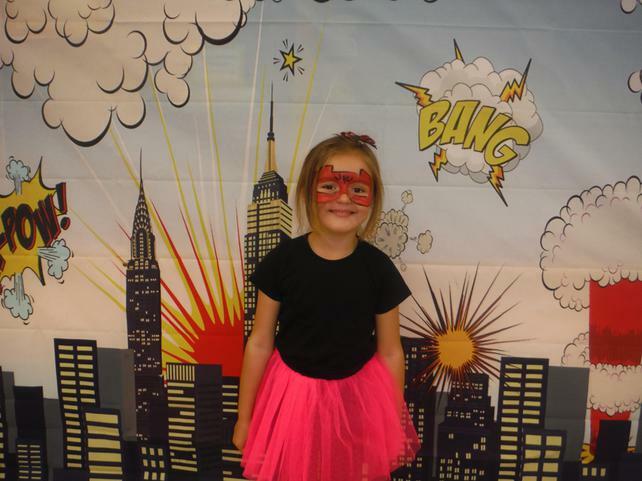 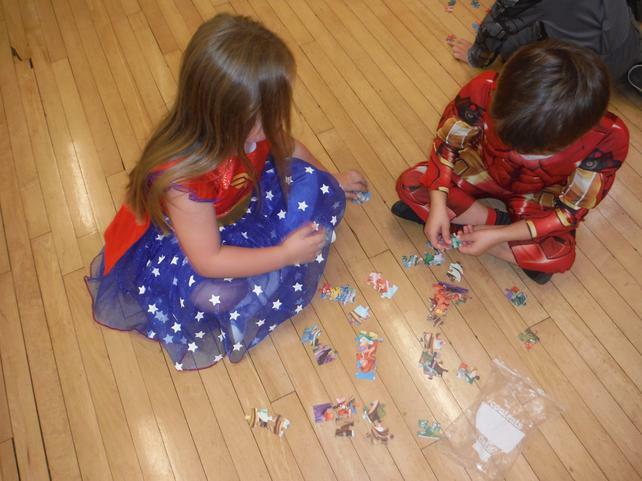 We dressed up as superheroes before beginning to think about what we would look like if we were a superhero. 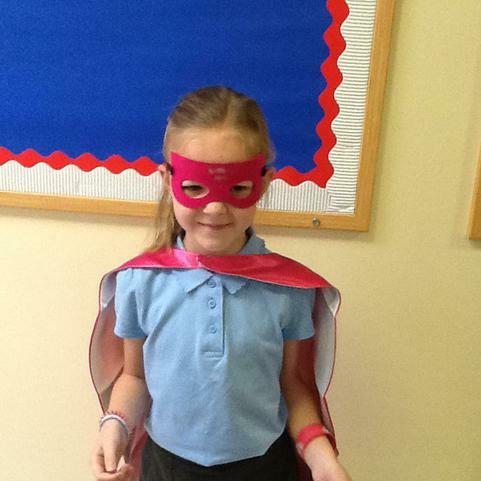 We designed our new superhero outfits and used adjectives to describe our wonderful outfits and super powers. 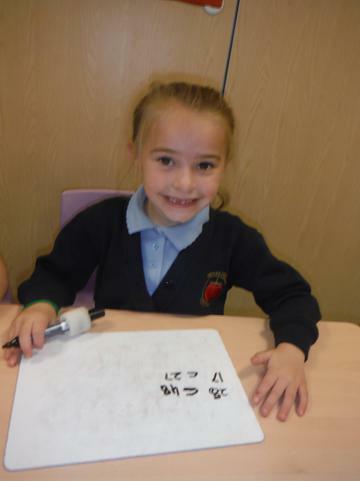 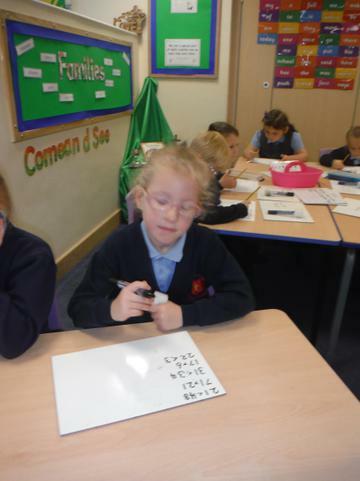 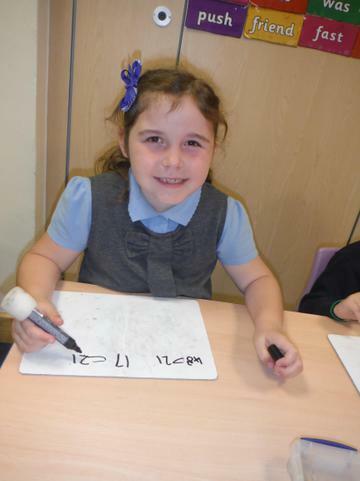 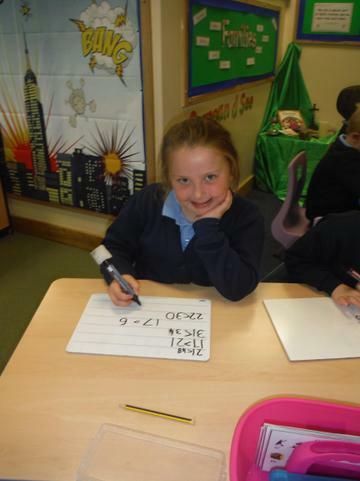 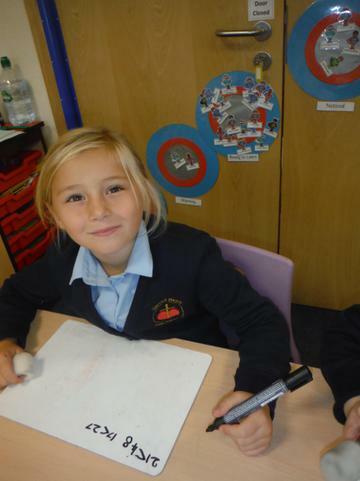 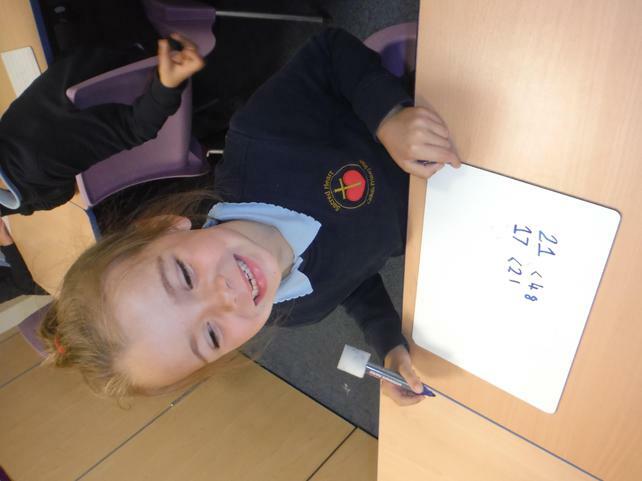 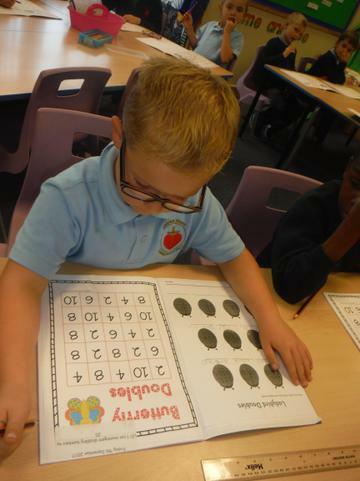 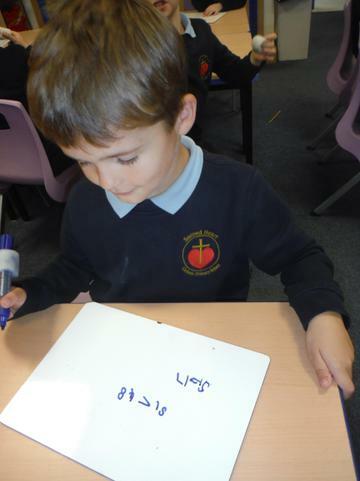 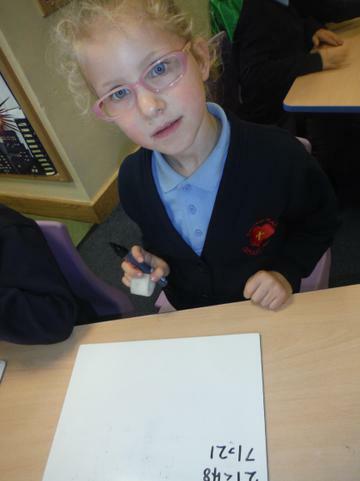 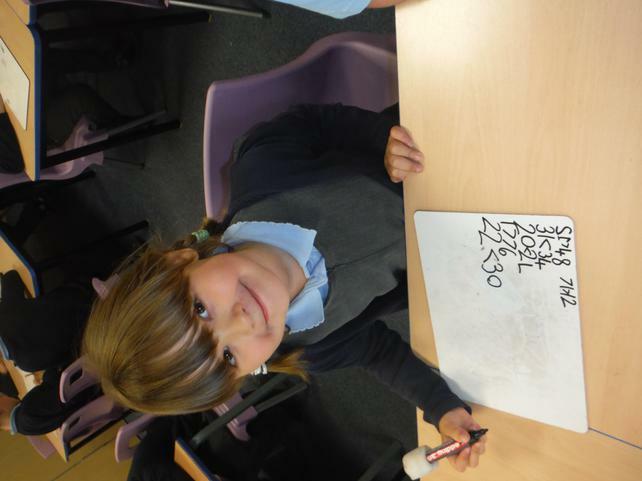 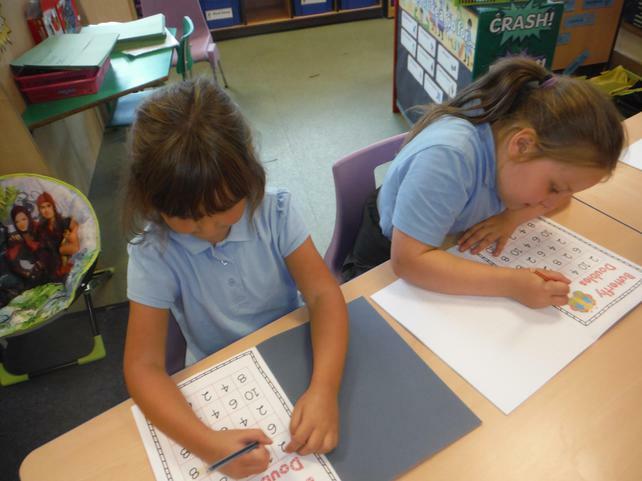 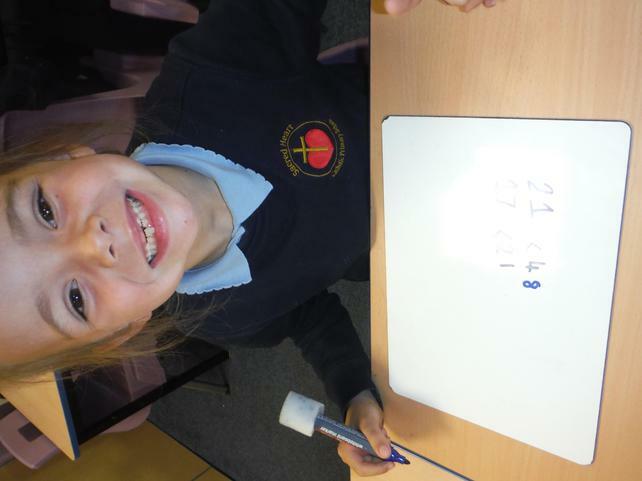 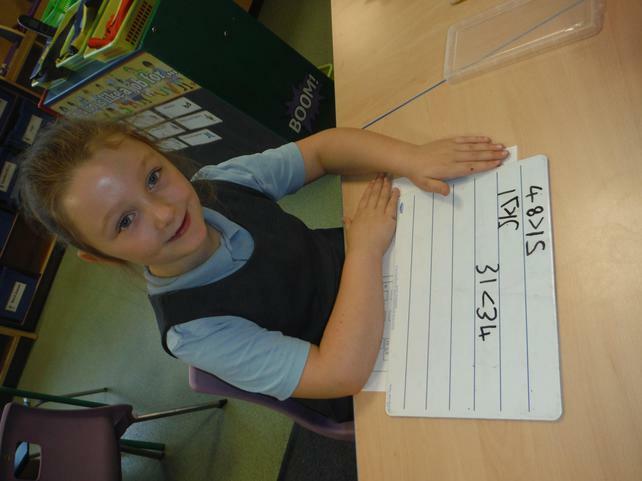 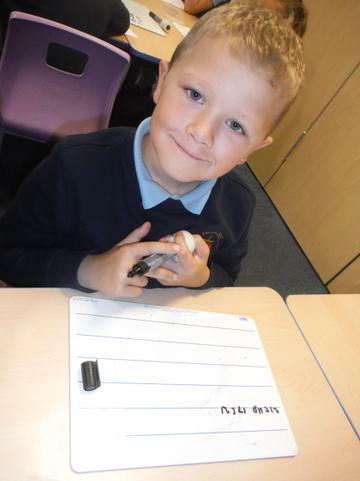 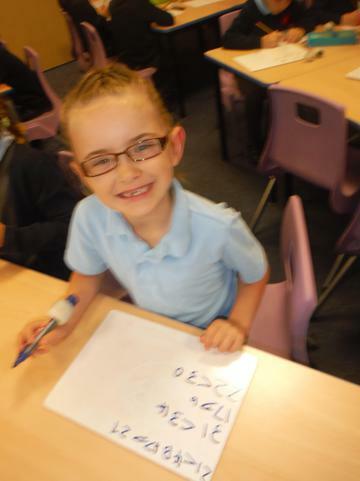 In Maths, we have been thinking about writing numbers in words, this is a very tricky thing to do! 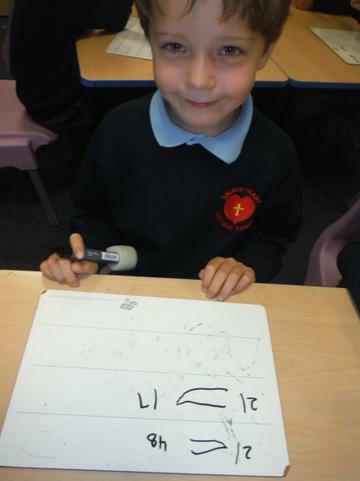 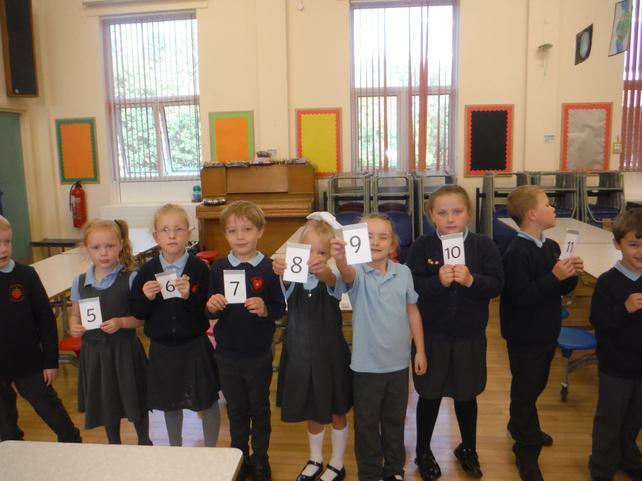 We have also started looking at place value and what each number in a 2 digit number represents. 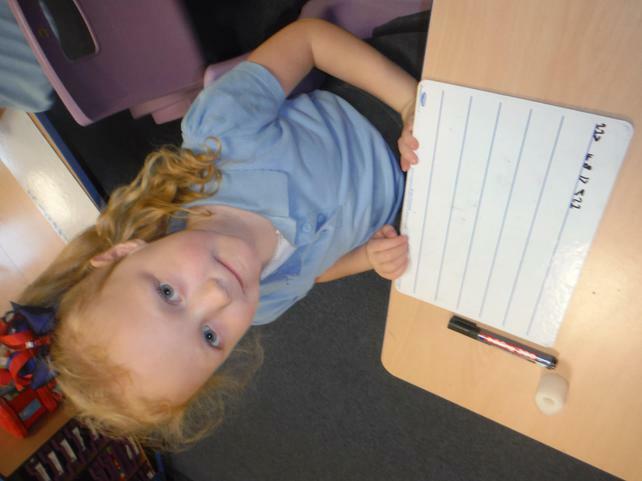 Welcome back Class 2! 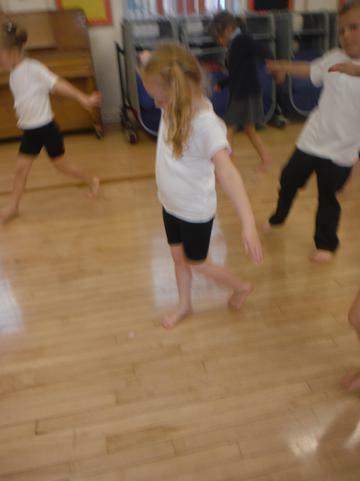 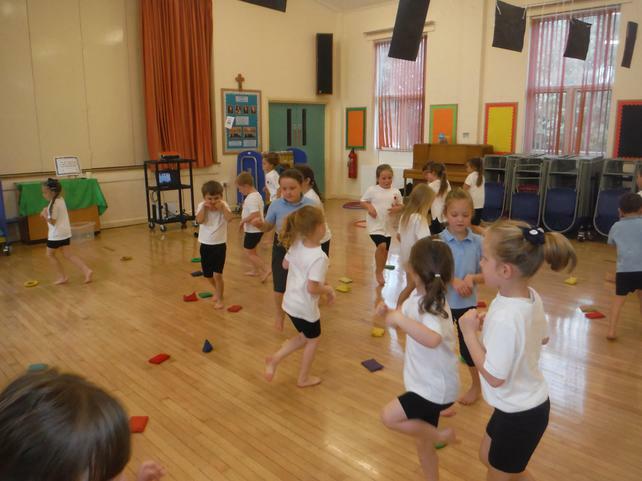 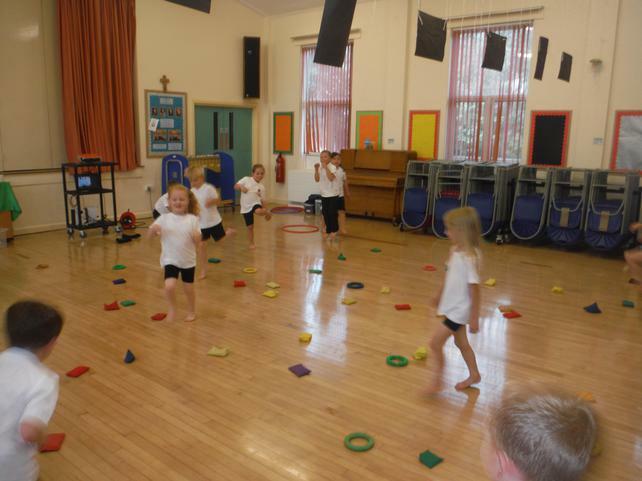 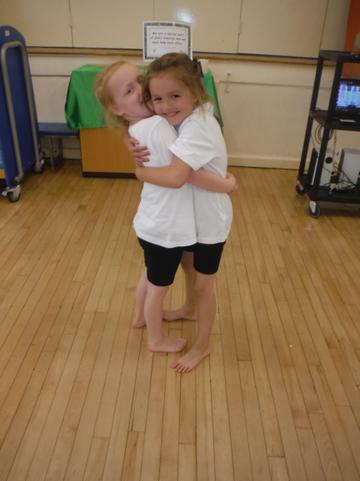 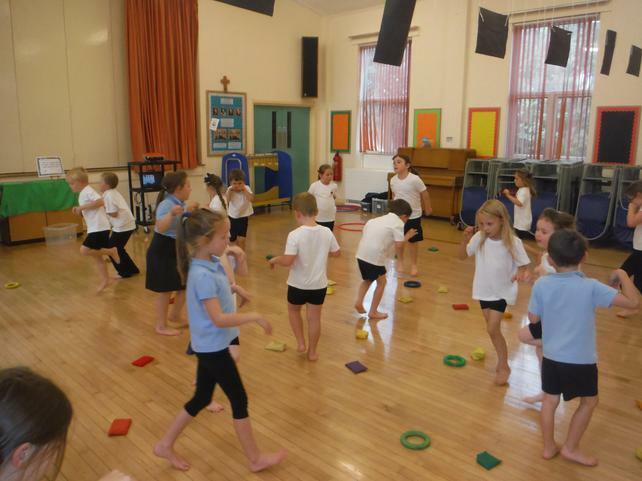 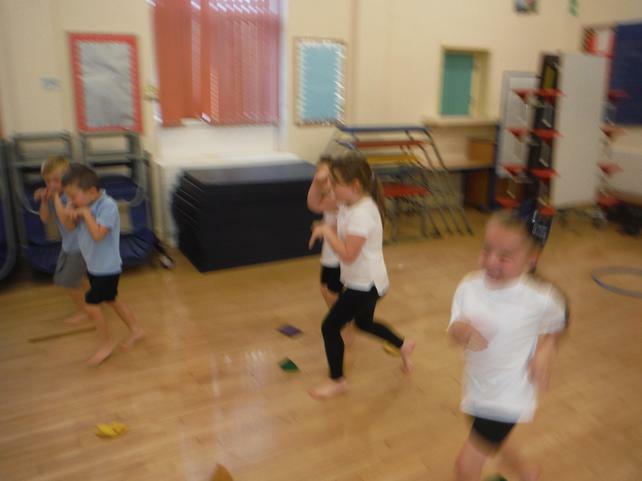 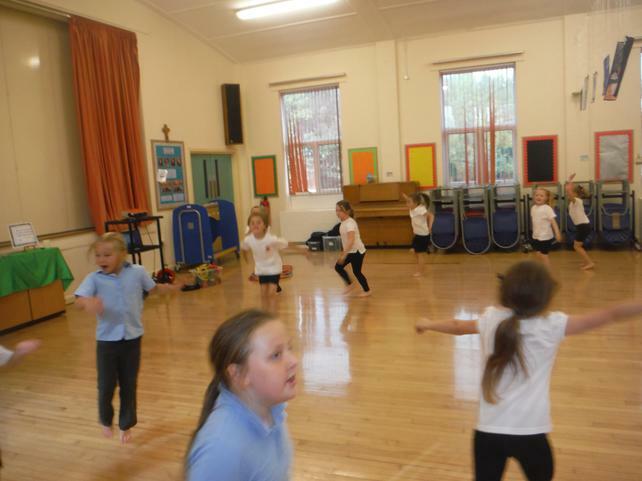 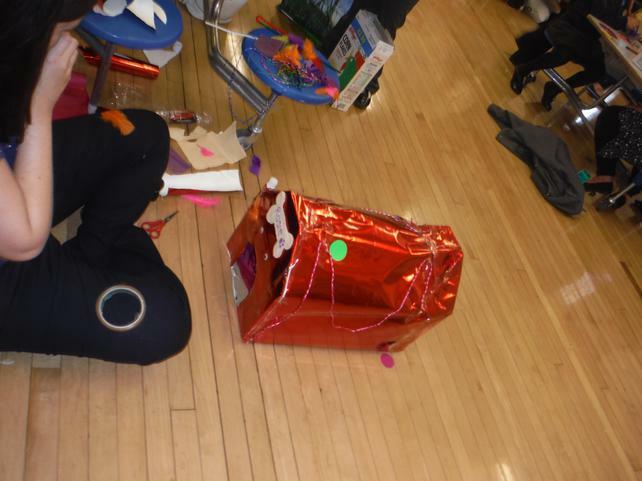 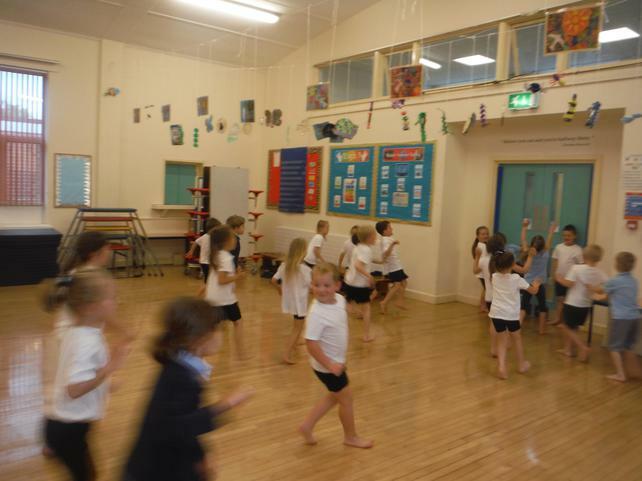 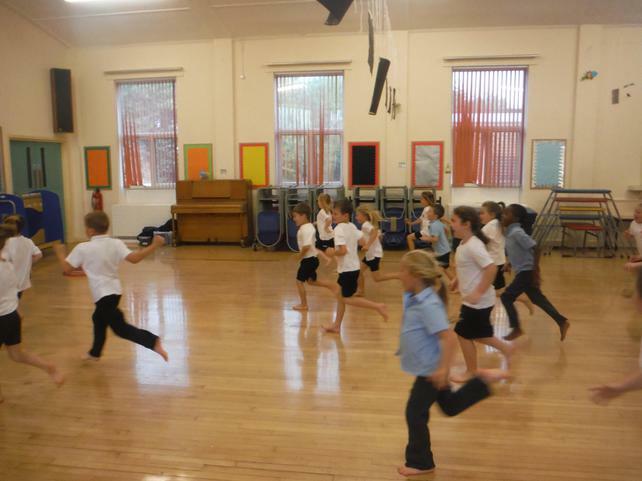 After a lovely relaxing holiday class 2 have worked exceptionally hard this week. 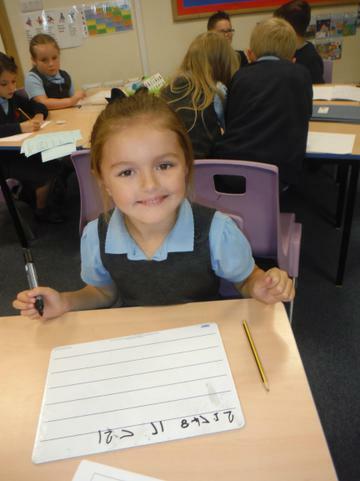 We have used our summer holiday experiences as a stimulus for our writing creating, 'Summer Short Stories'. 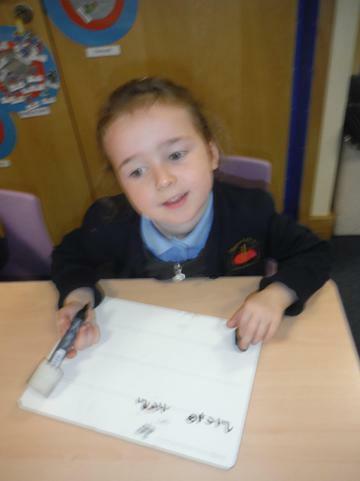 Our writing is going to be displayed on the corridor so please make sure you take a quick look. 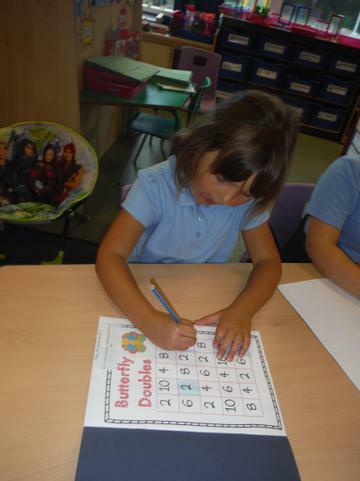 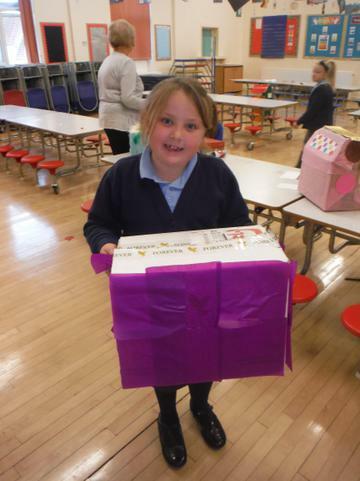 In Maths, we have been thinking about doubling, we even managed to play a game of doubles bingo and had lots of winners enjoying a treat from the prize box. 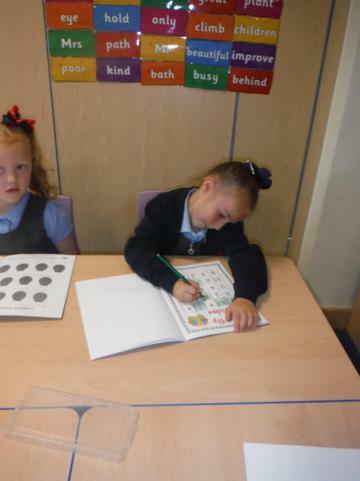 Well done to all Class 2 who have worked hard together this week to explore our new classroom layout and to also get used to the different routines we have during the school day.